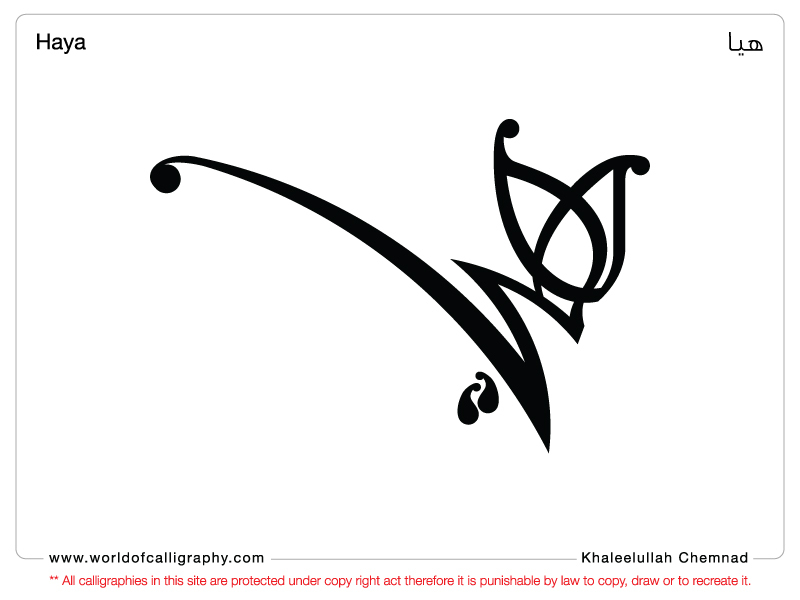 Princess Haya bint Hussein is the daughter of King Hussein of Jordan | Wife of the H. H. Sheikh Mohammed bin Rashid Al Maktoum. 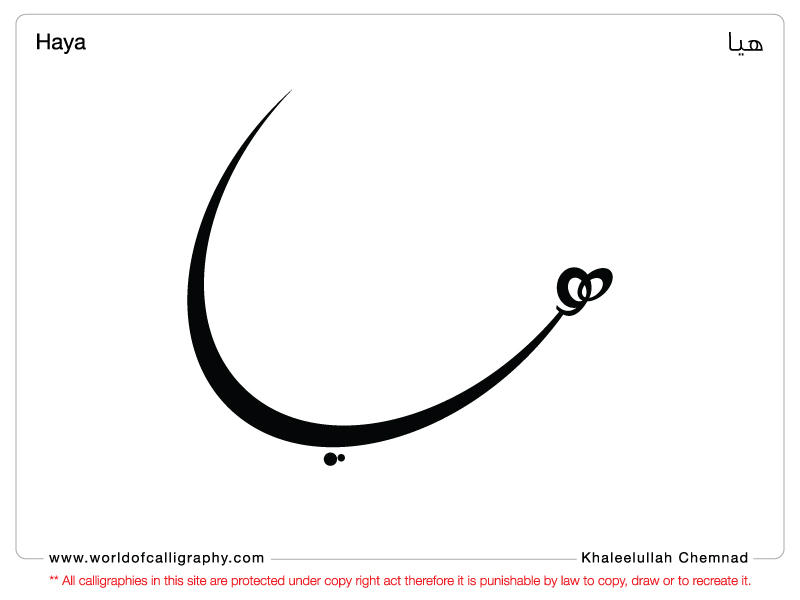 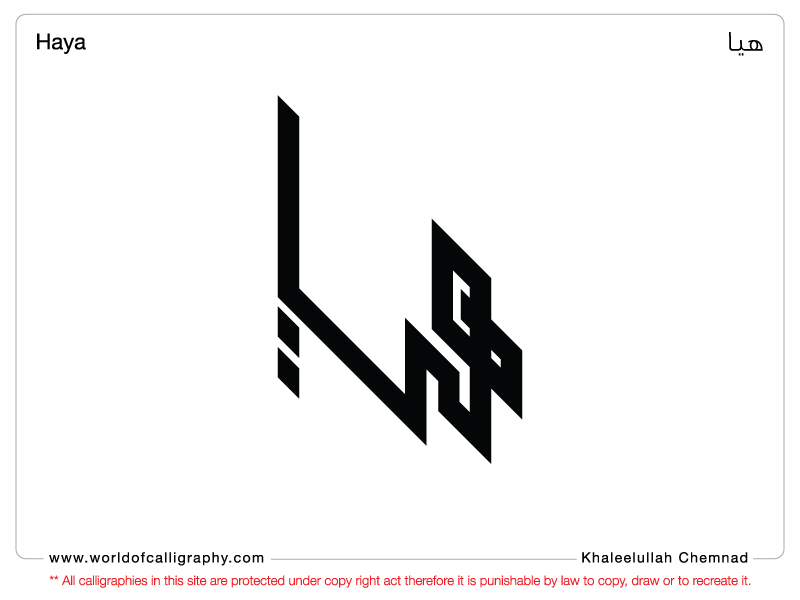 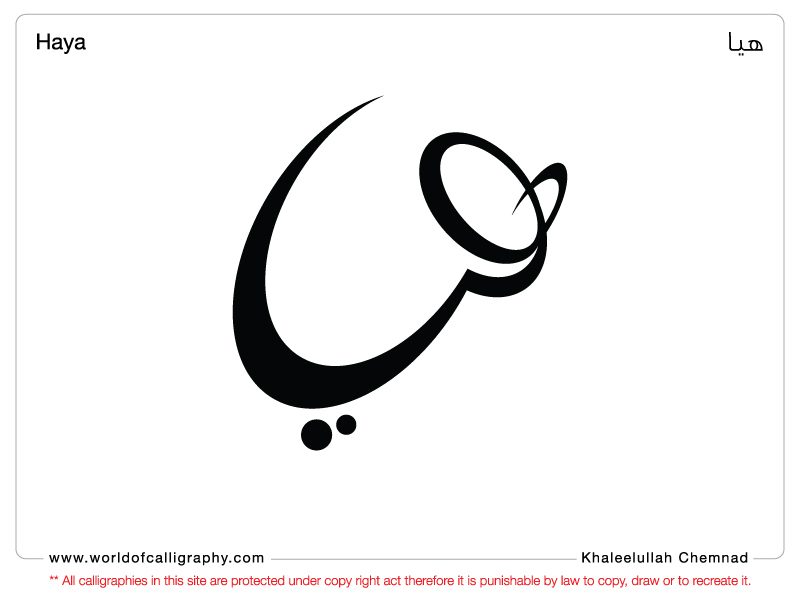 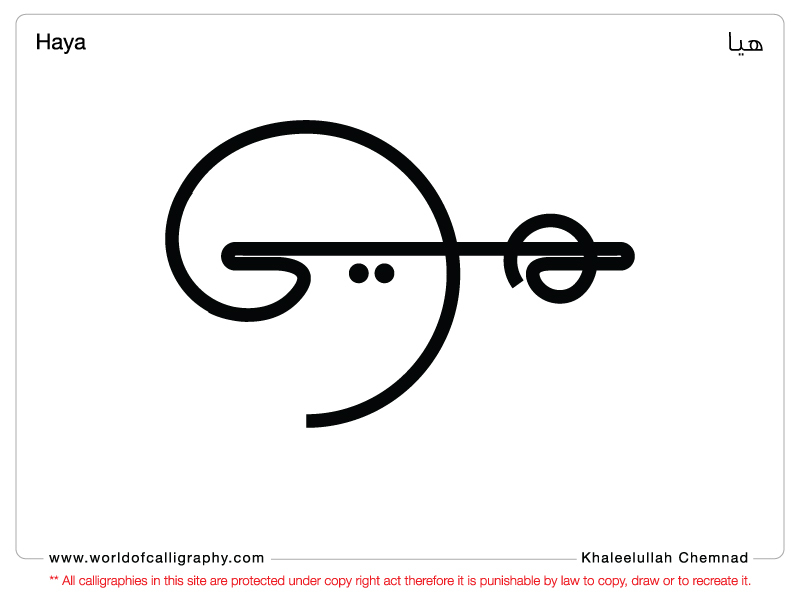 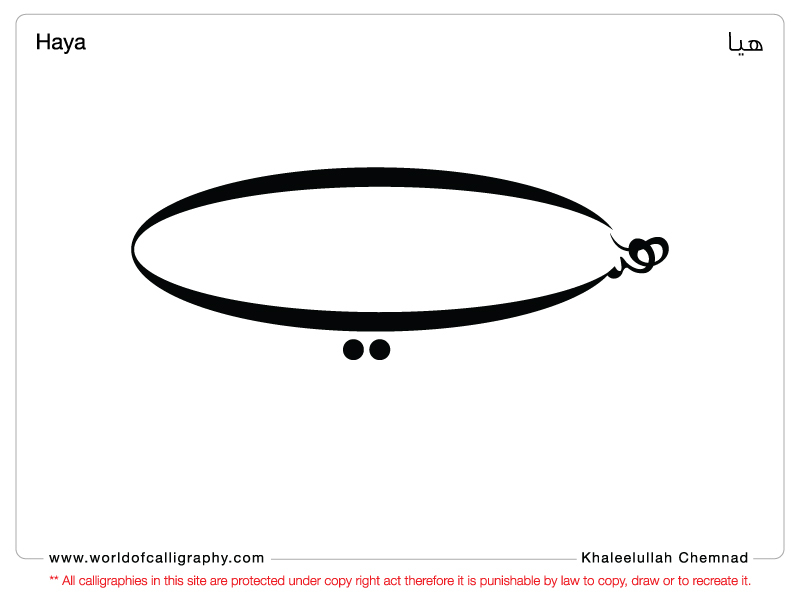 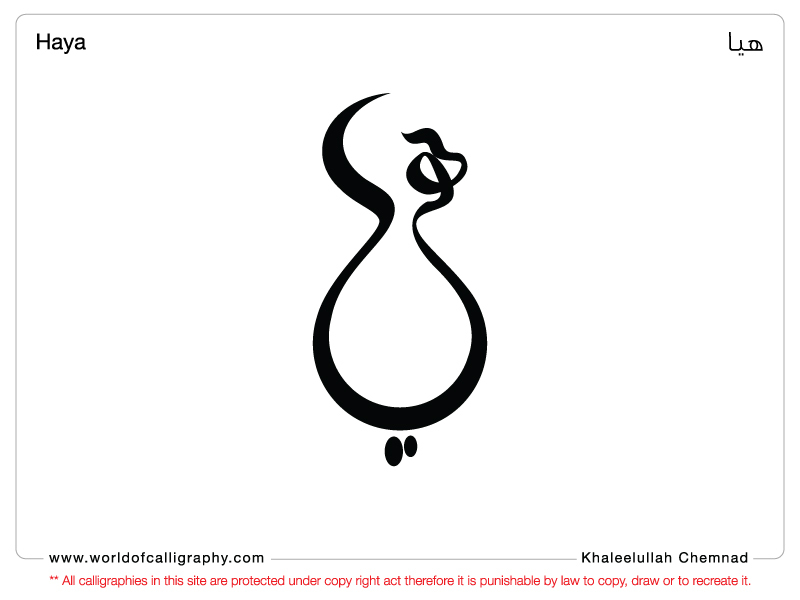 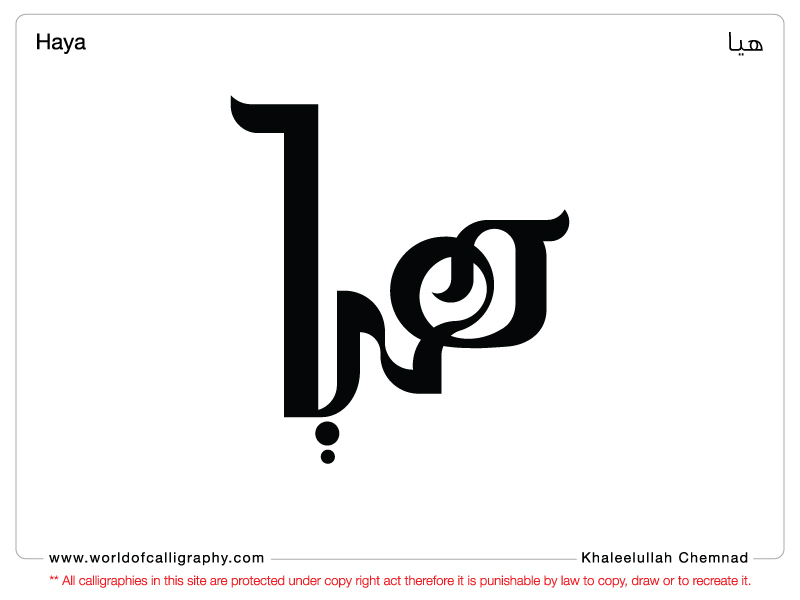 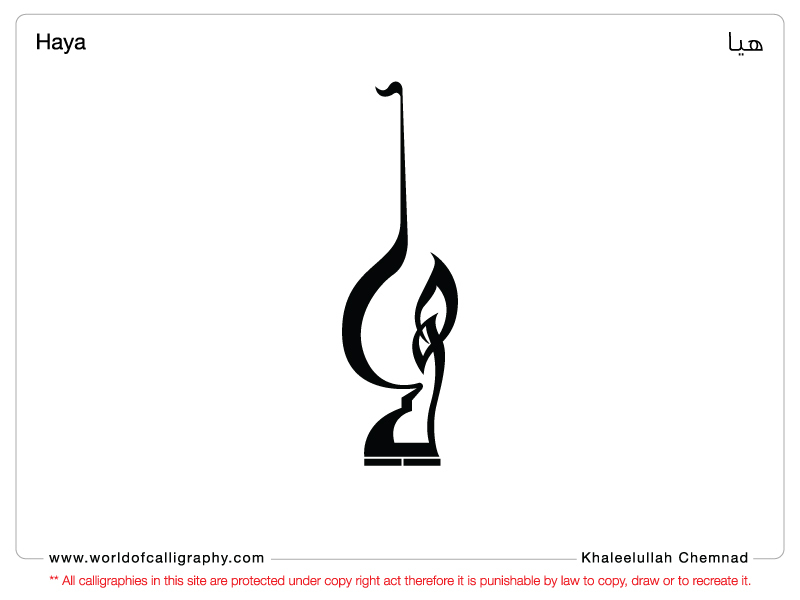 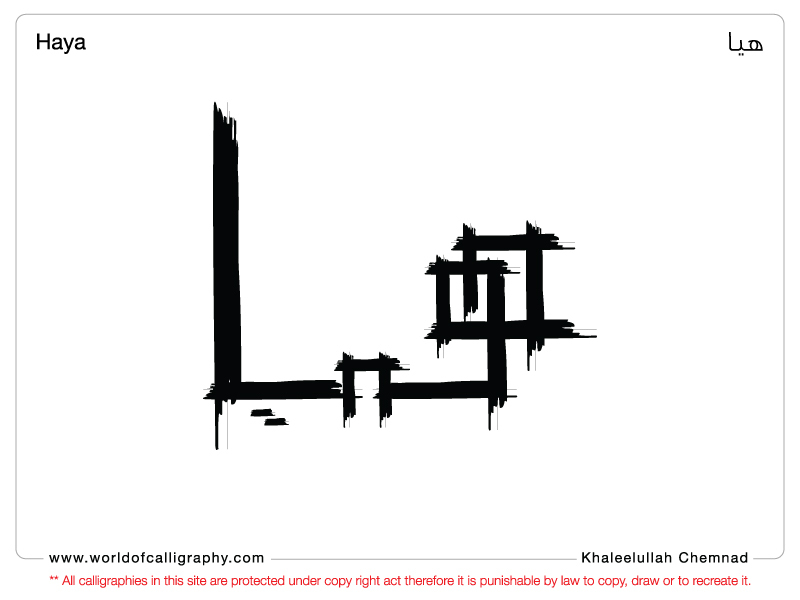 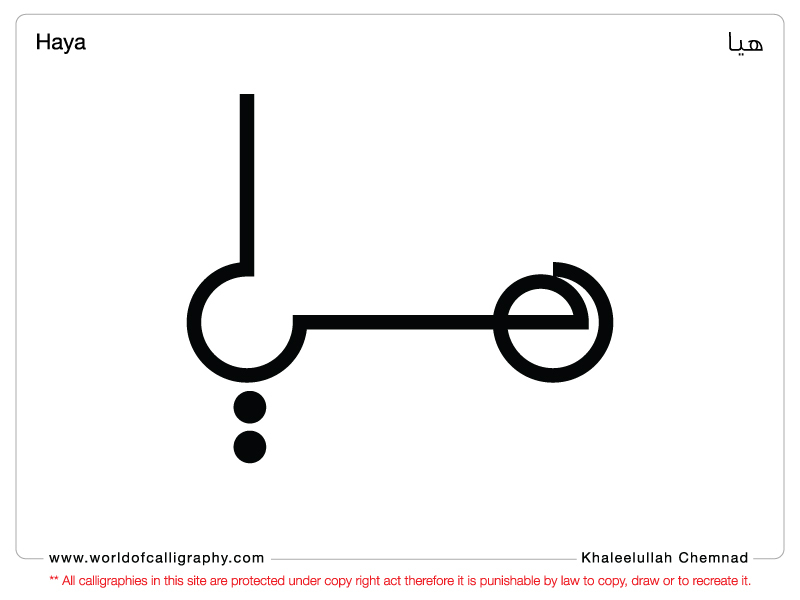 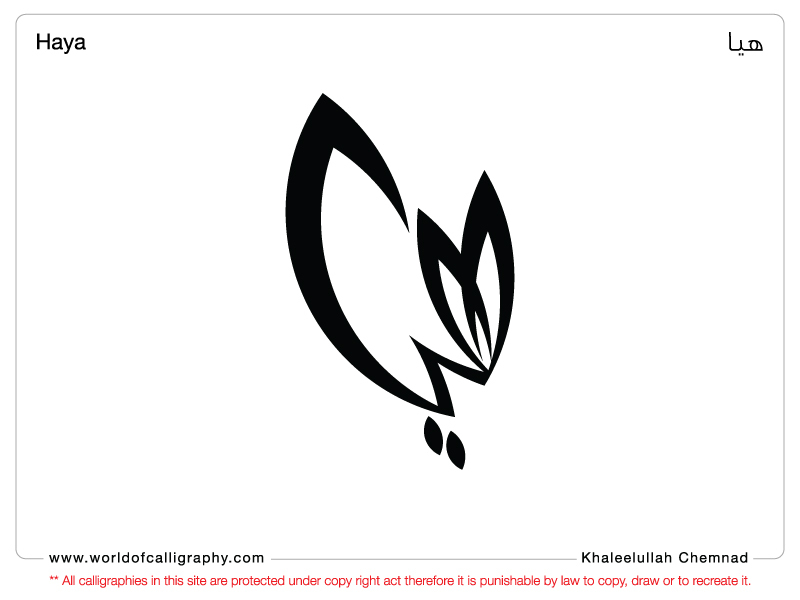 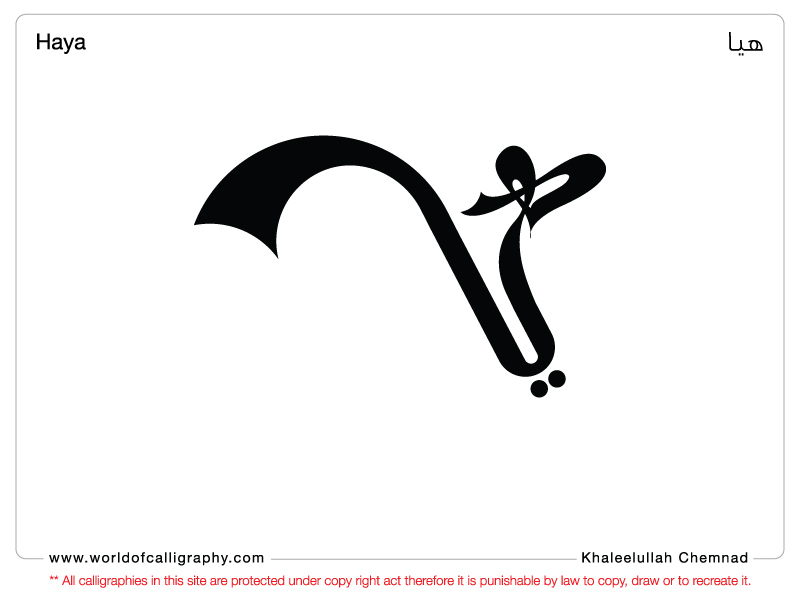 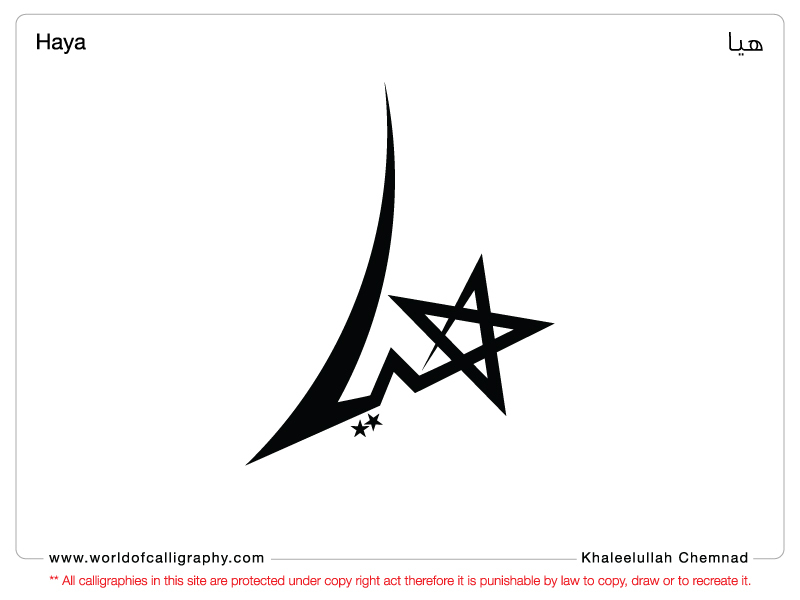 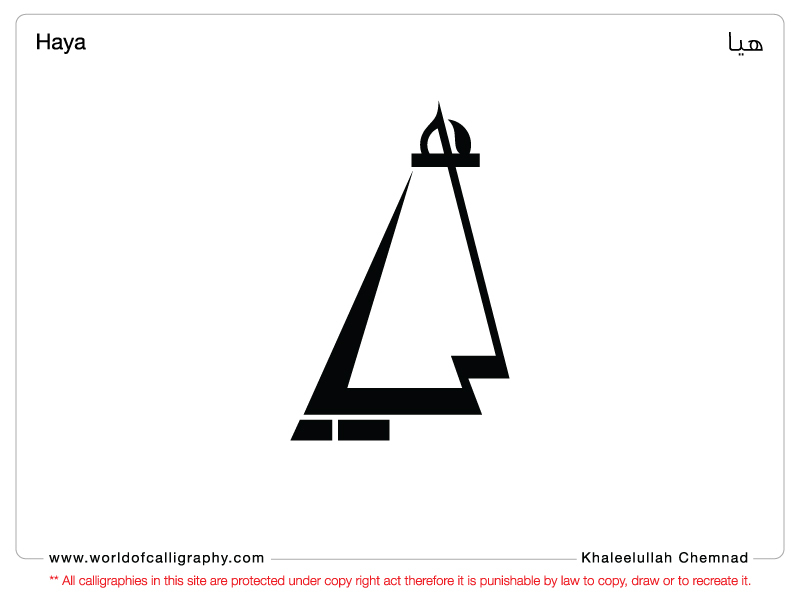 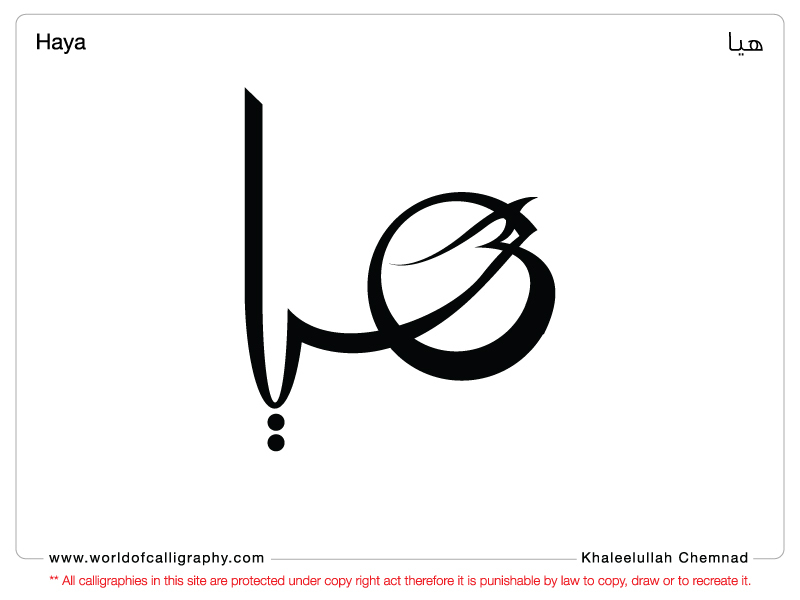 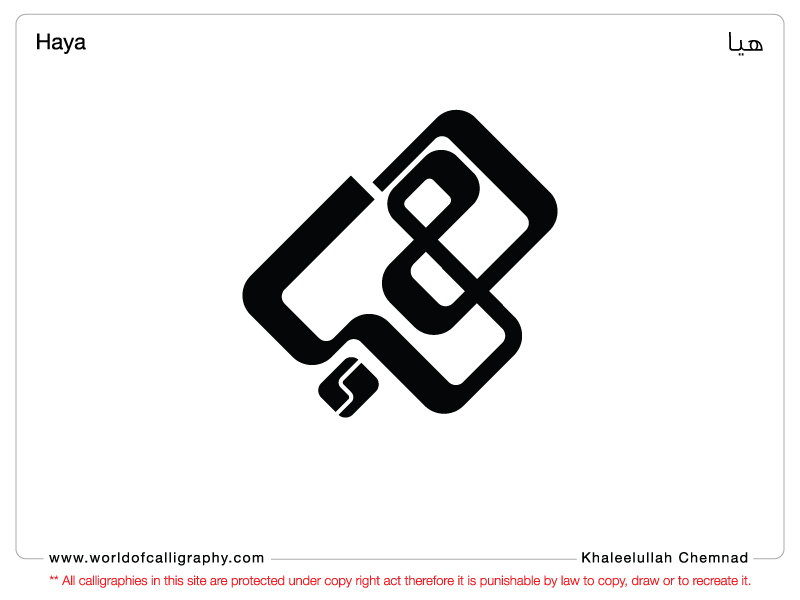 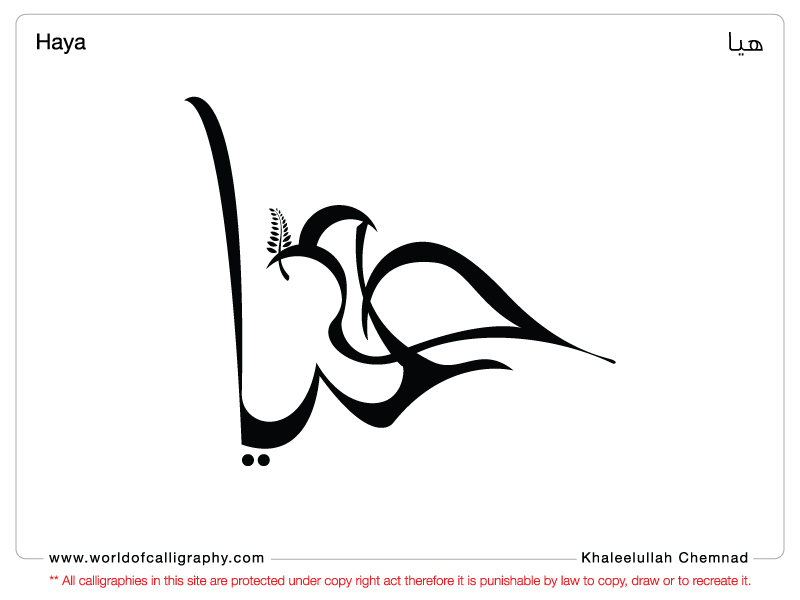 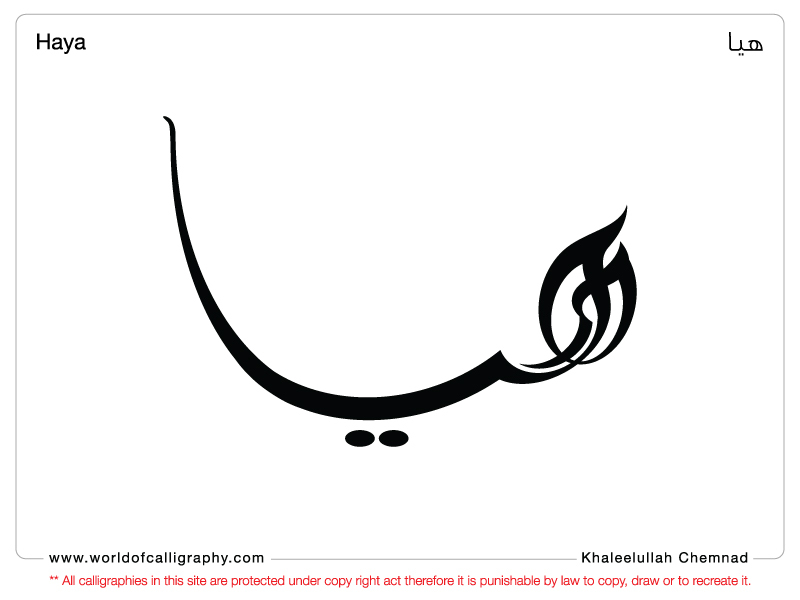 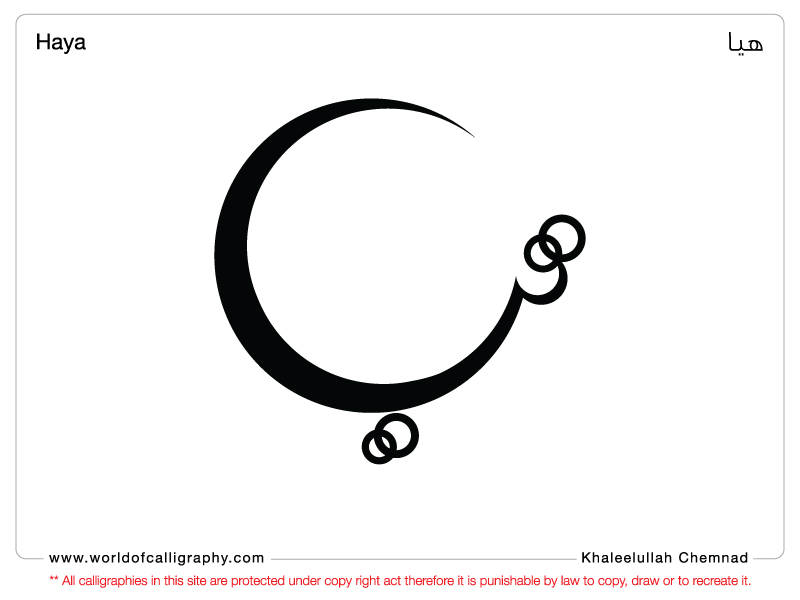 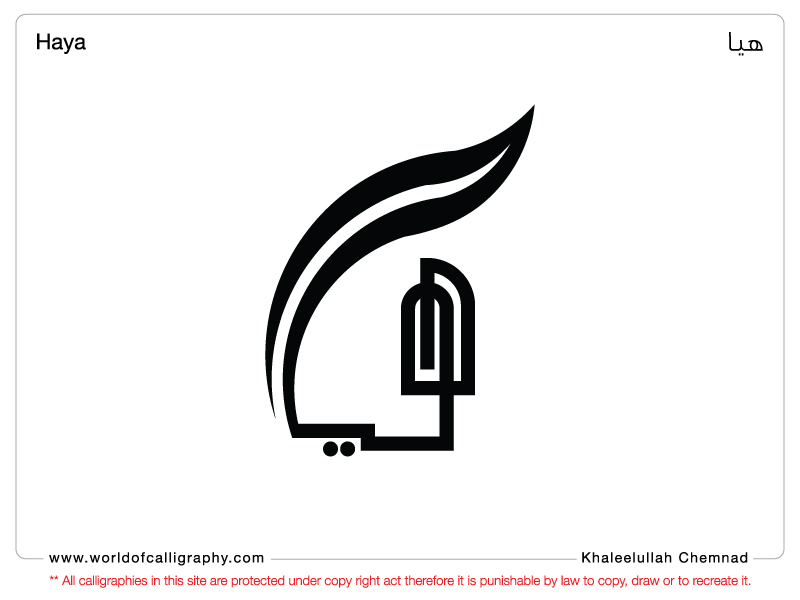 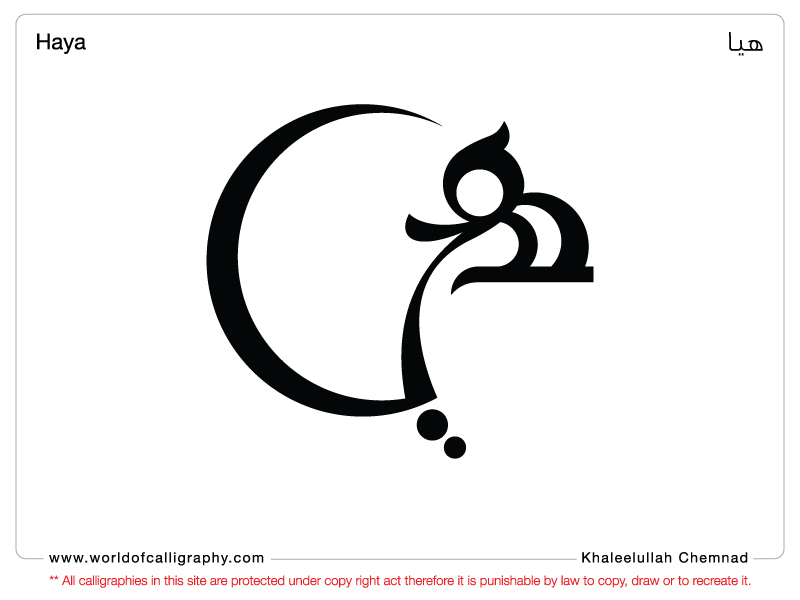 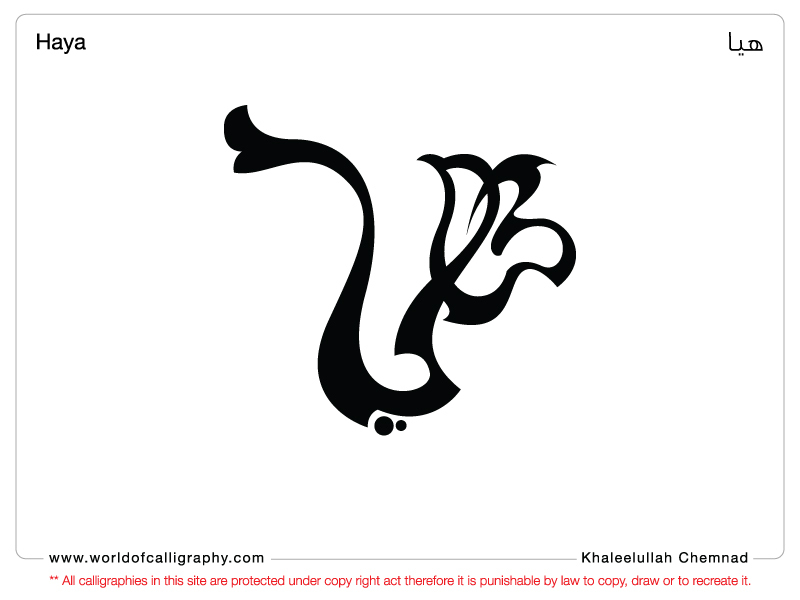 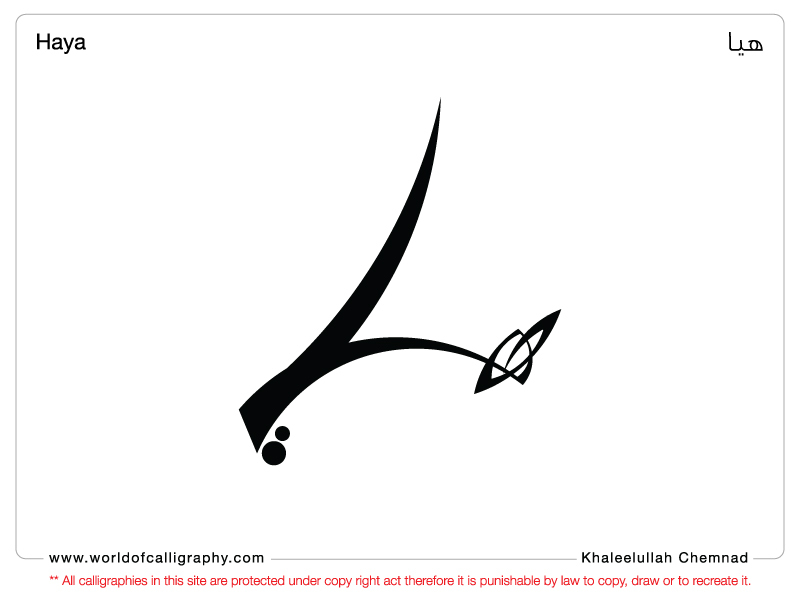 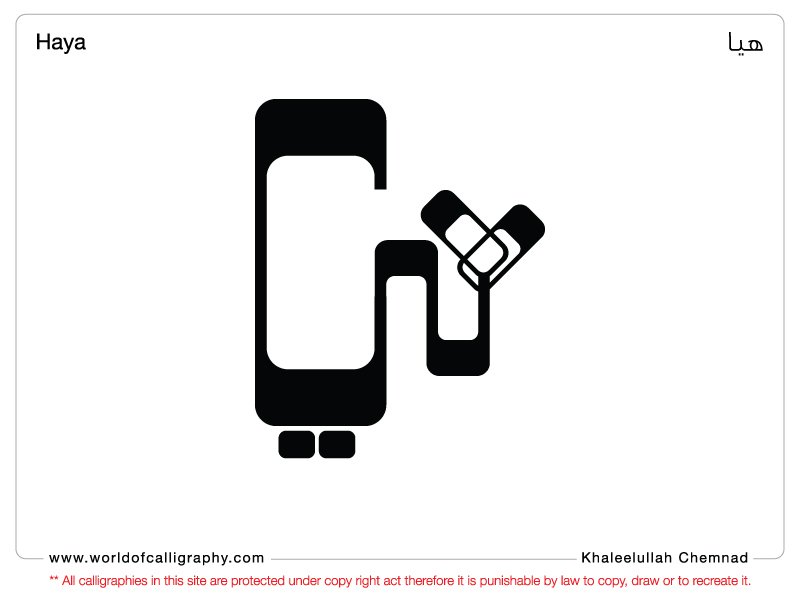 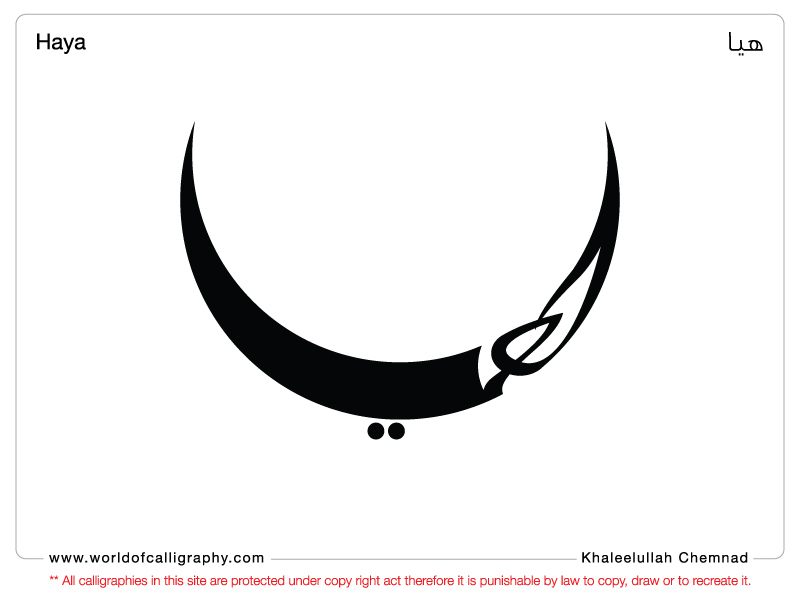 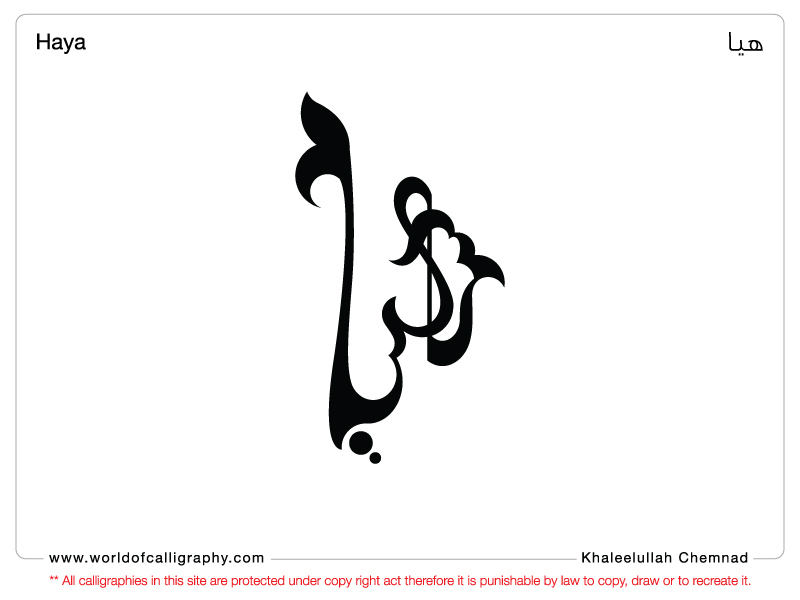 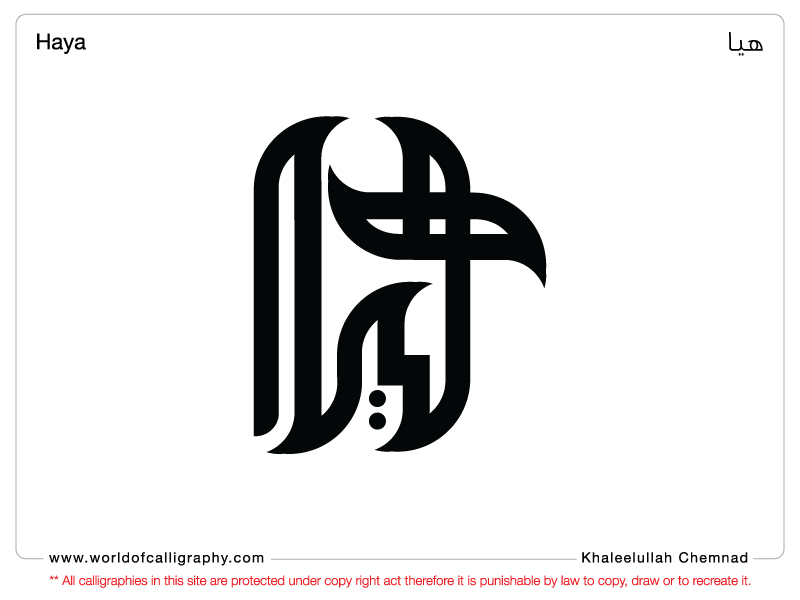 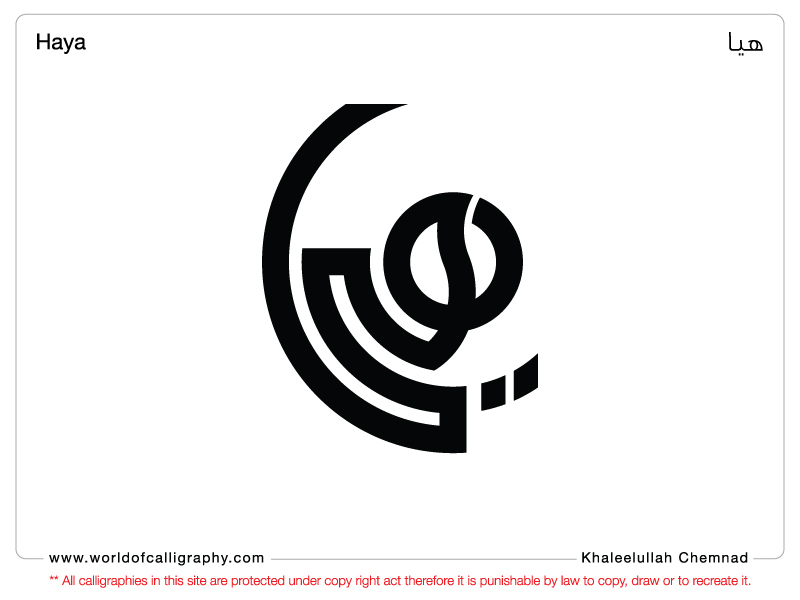 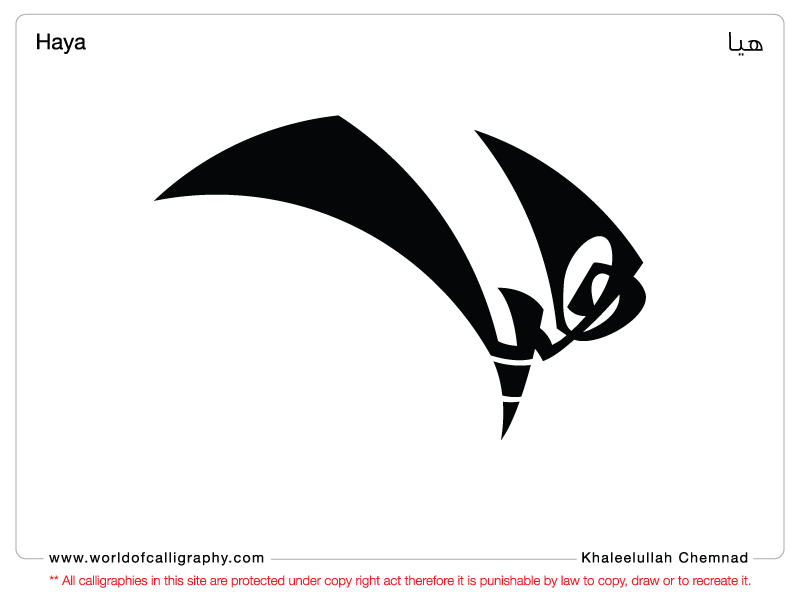 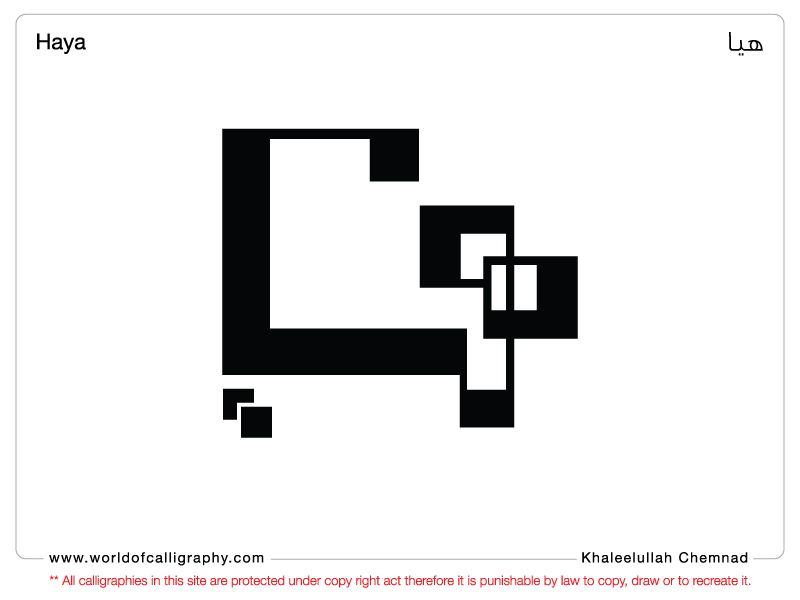 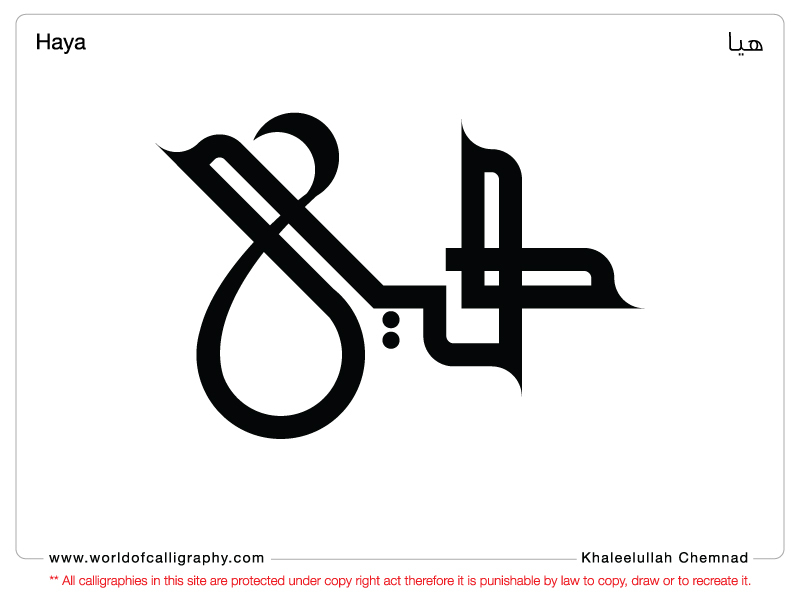 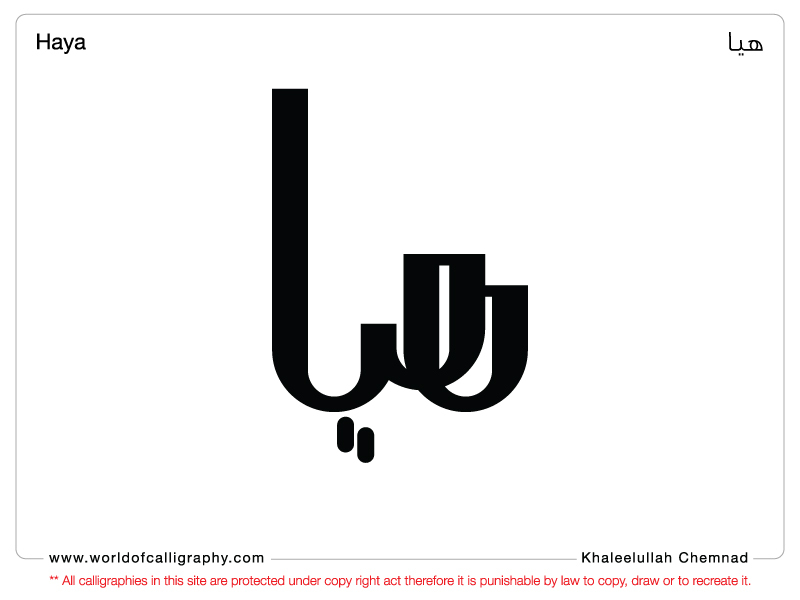 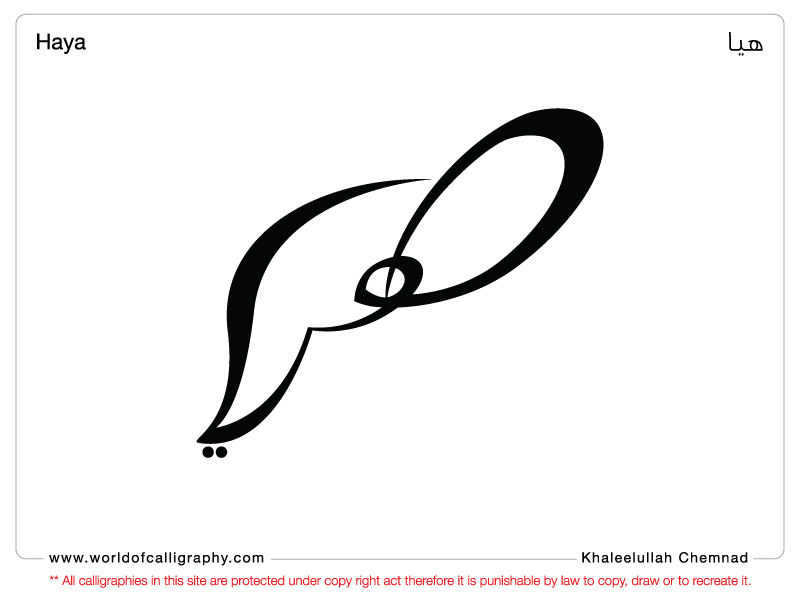 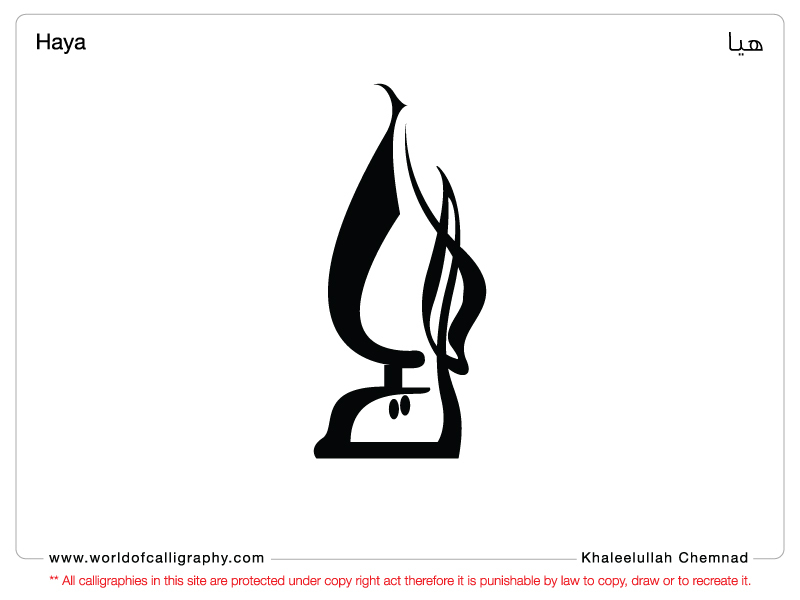 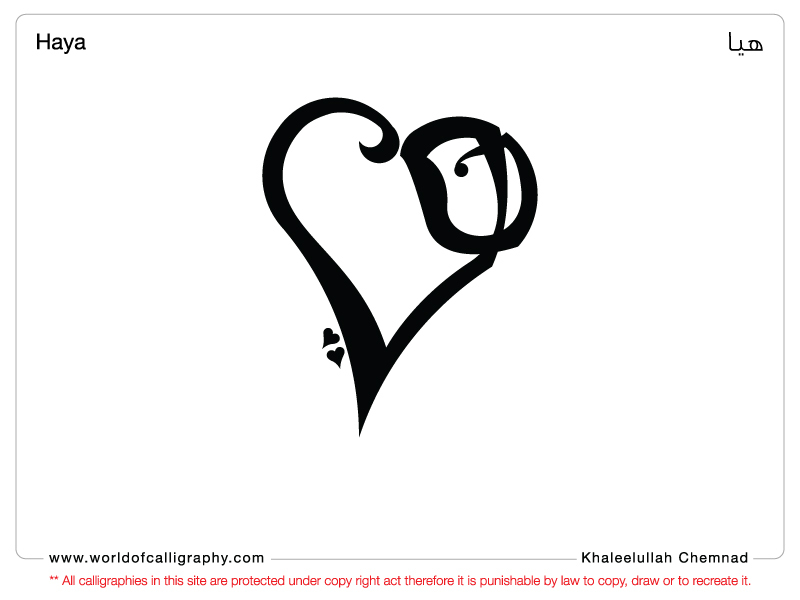 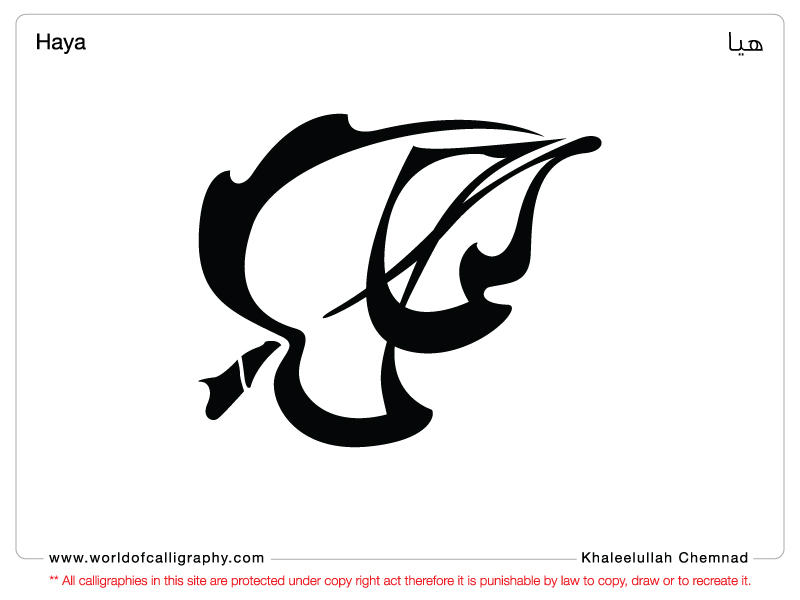 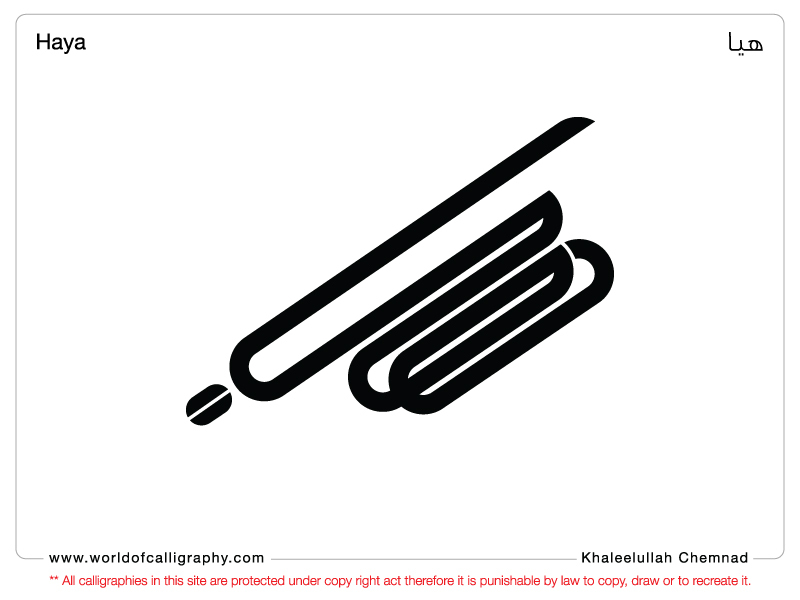 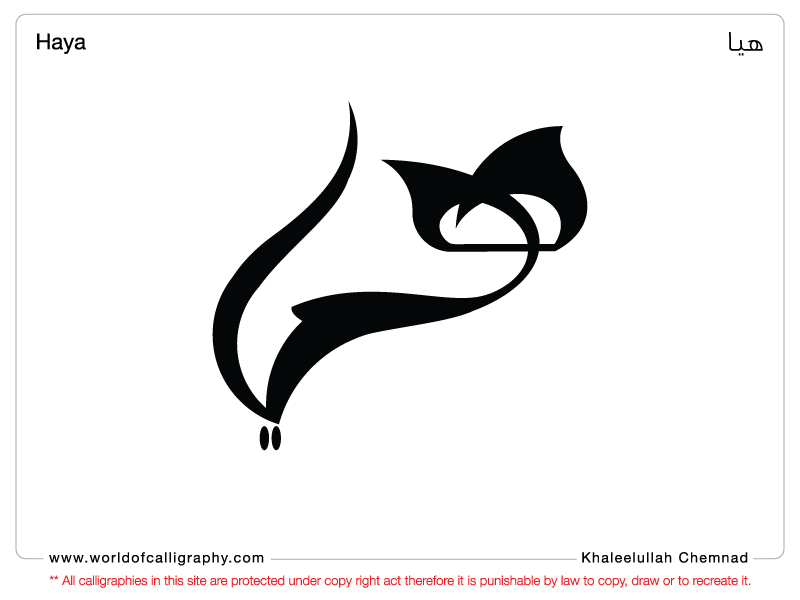 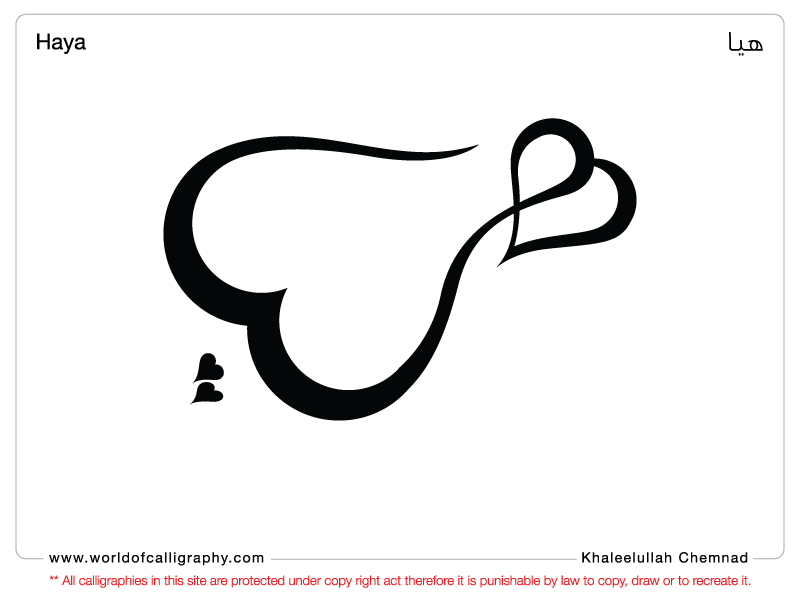 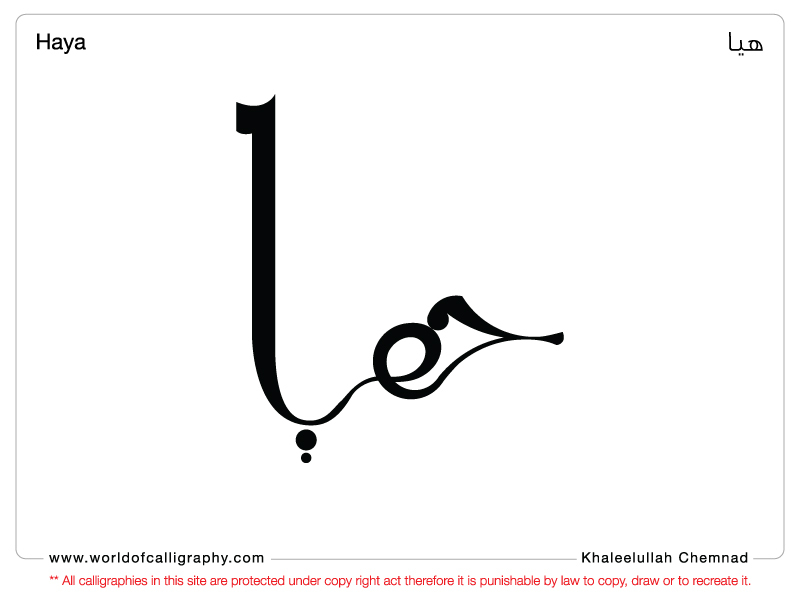 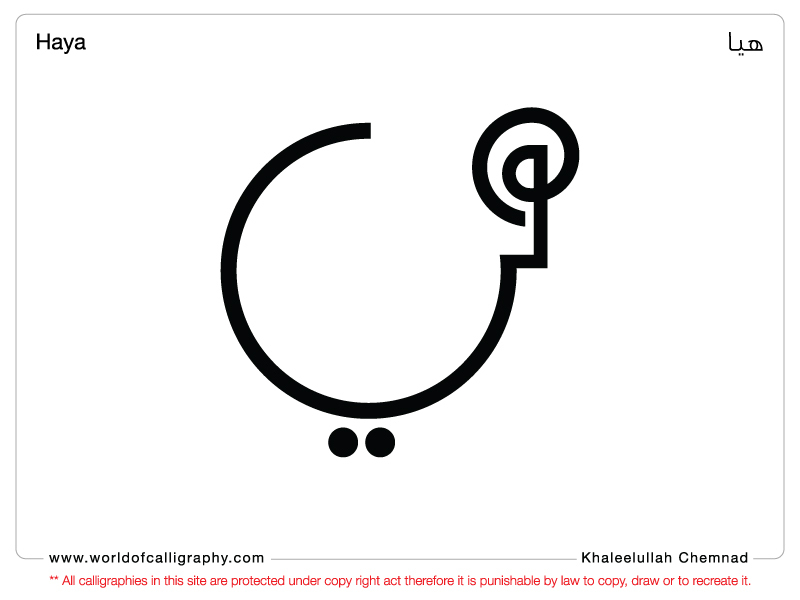 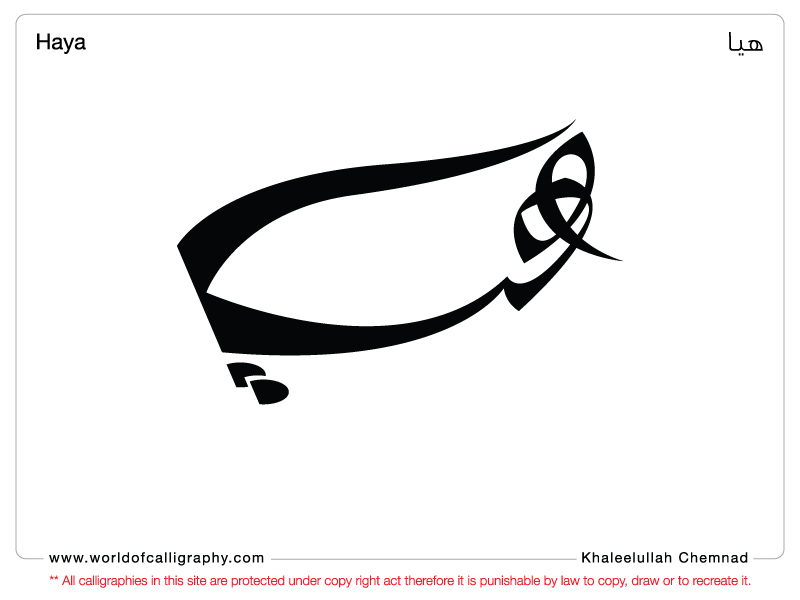 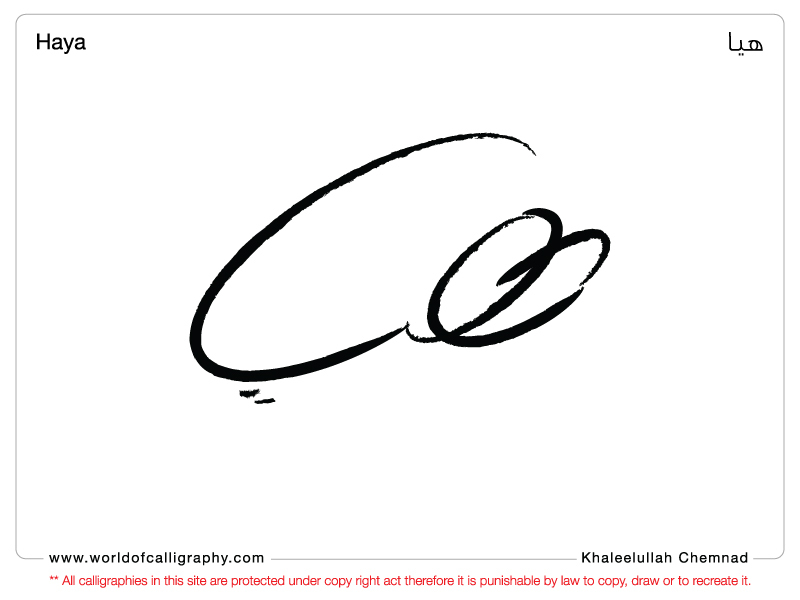 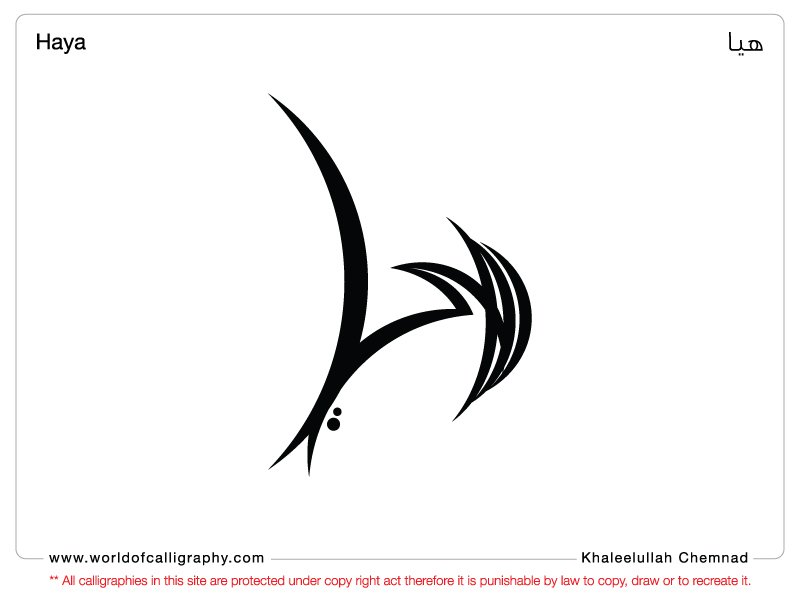 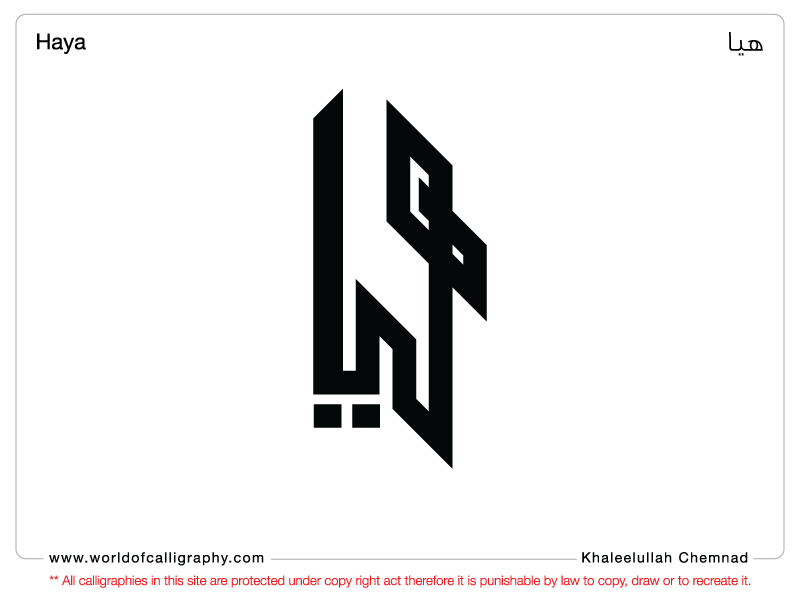 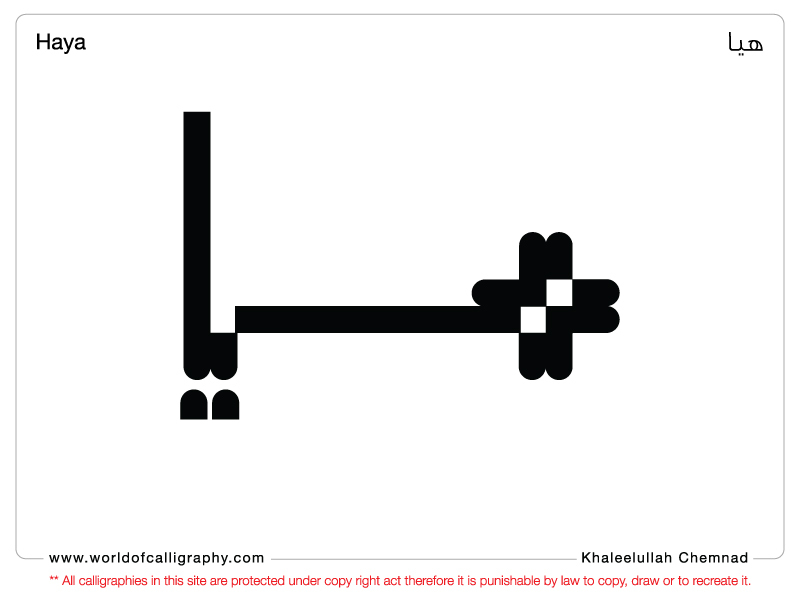 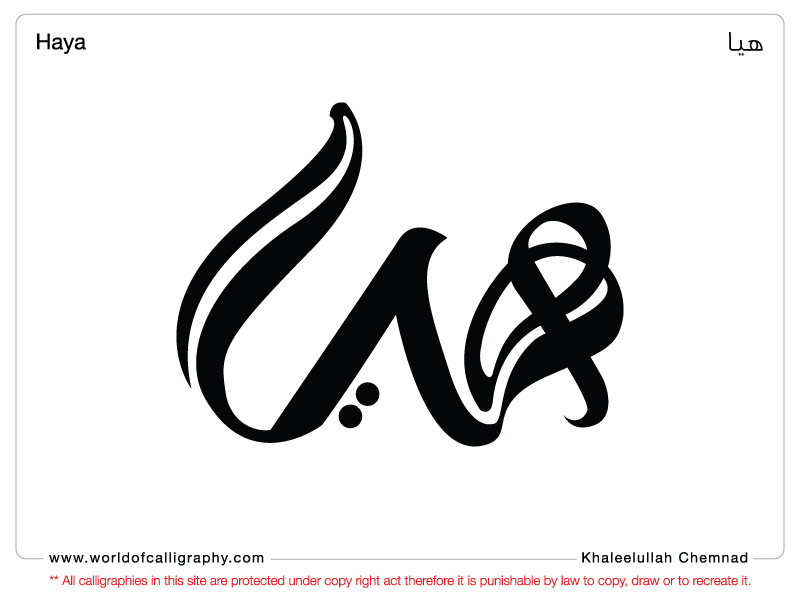 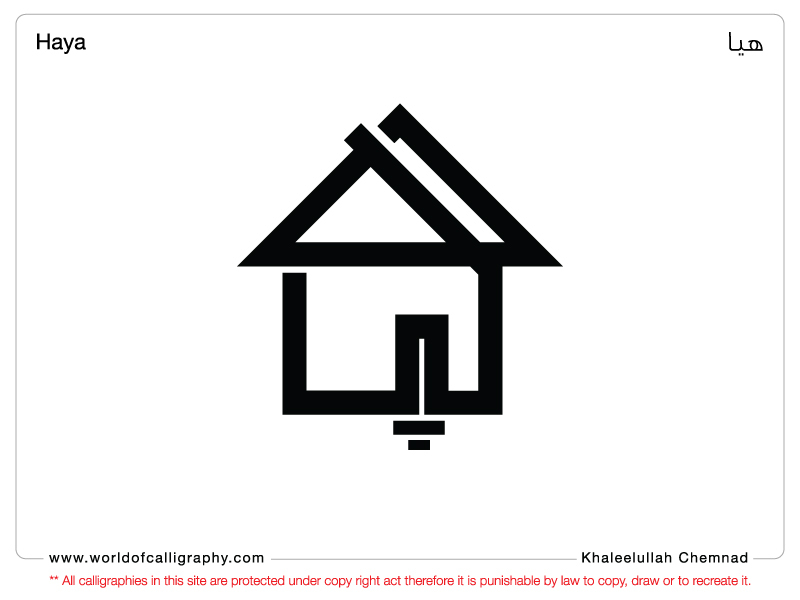 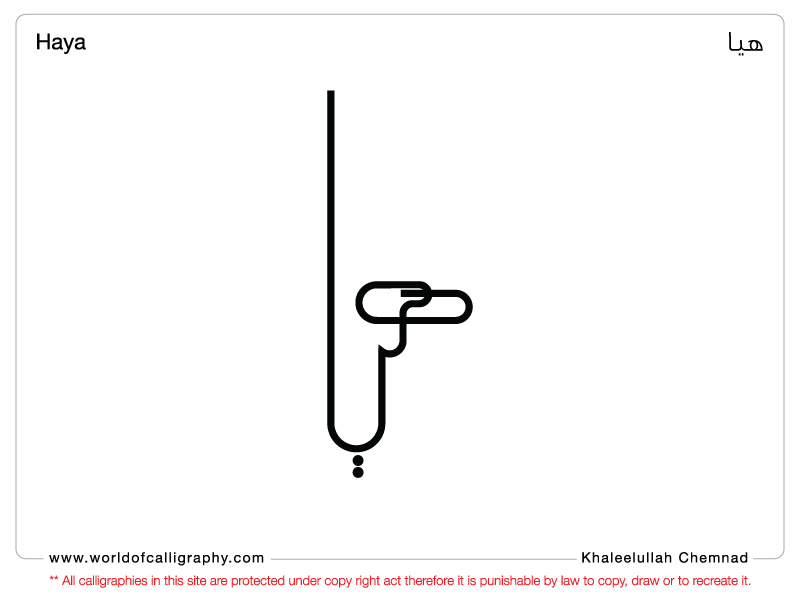 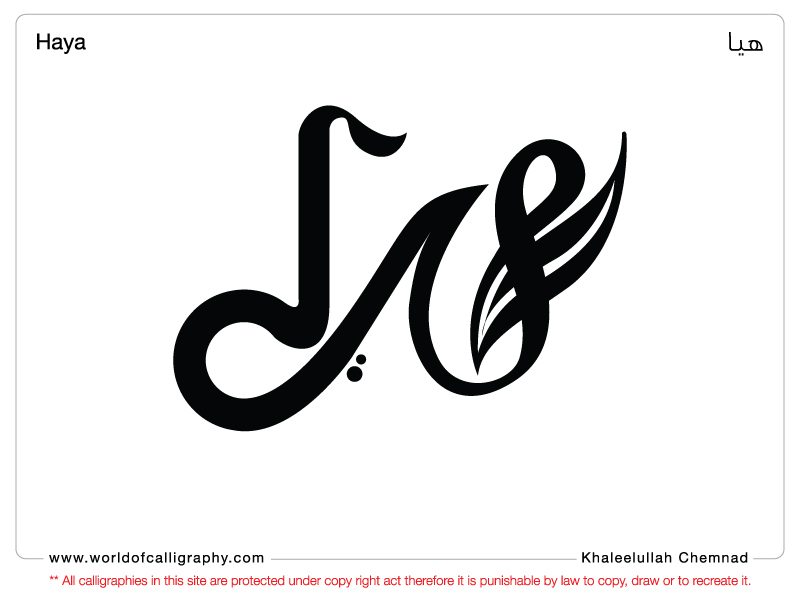 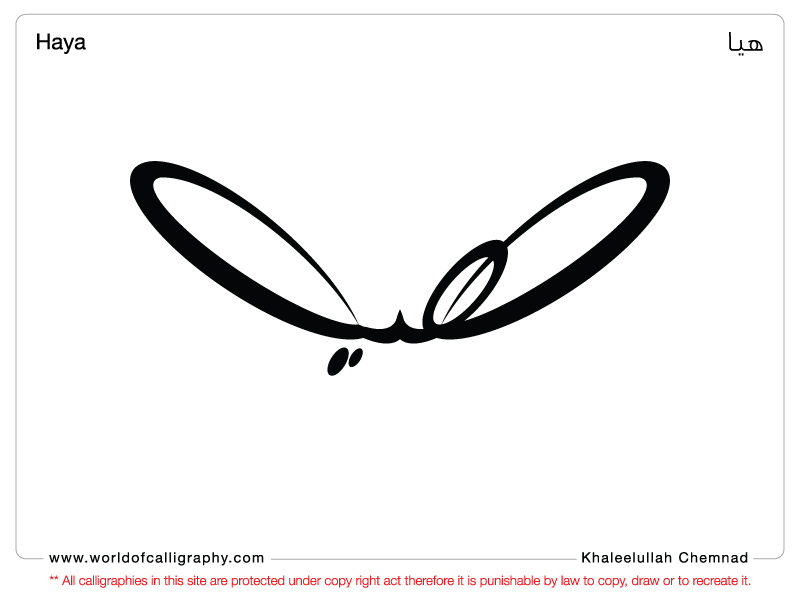 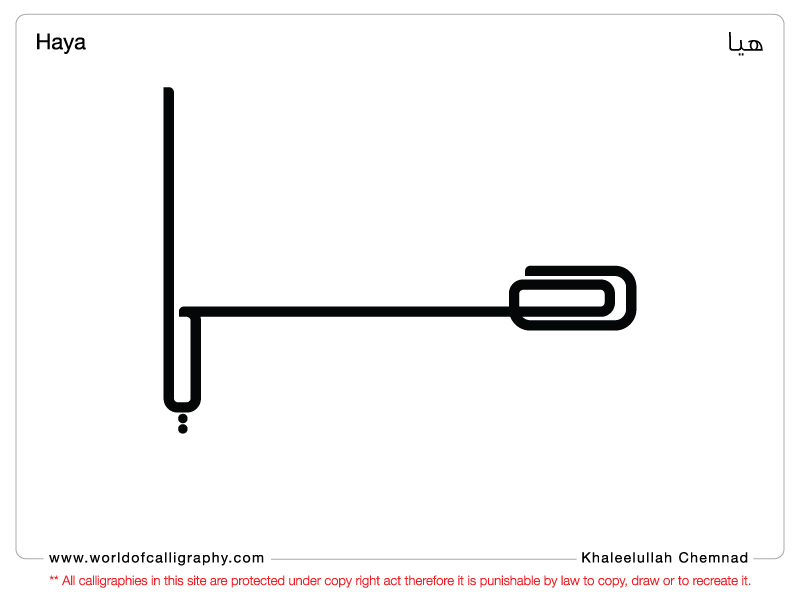 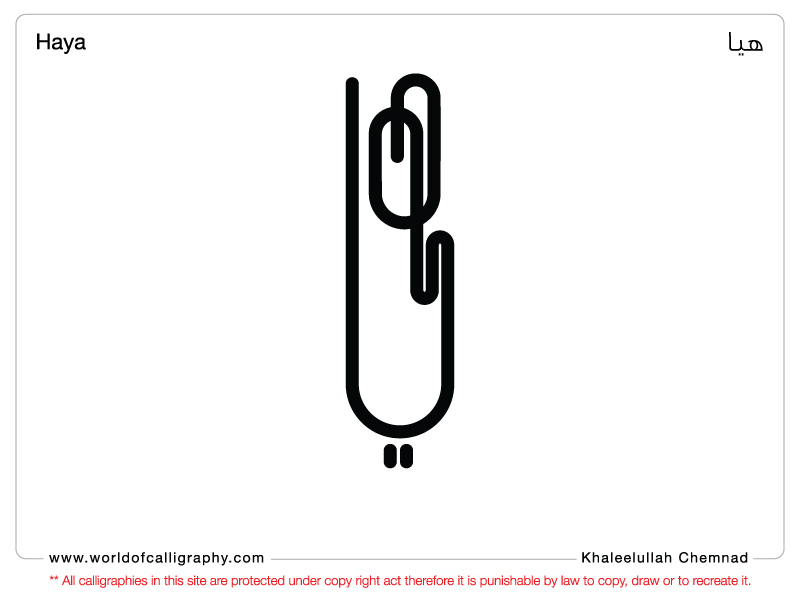 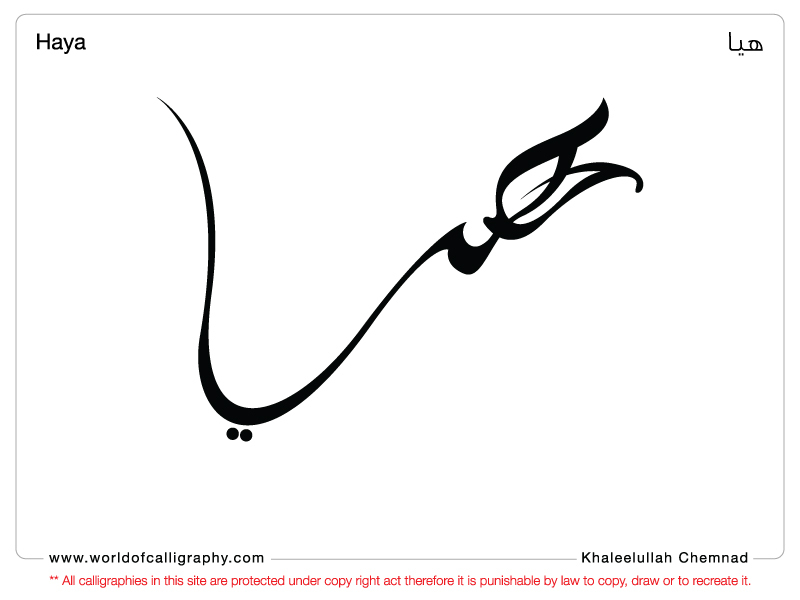 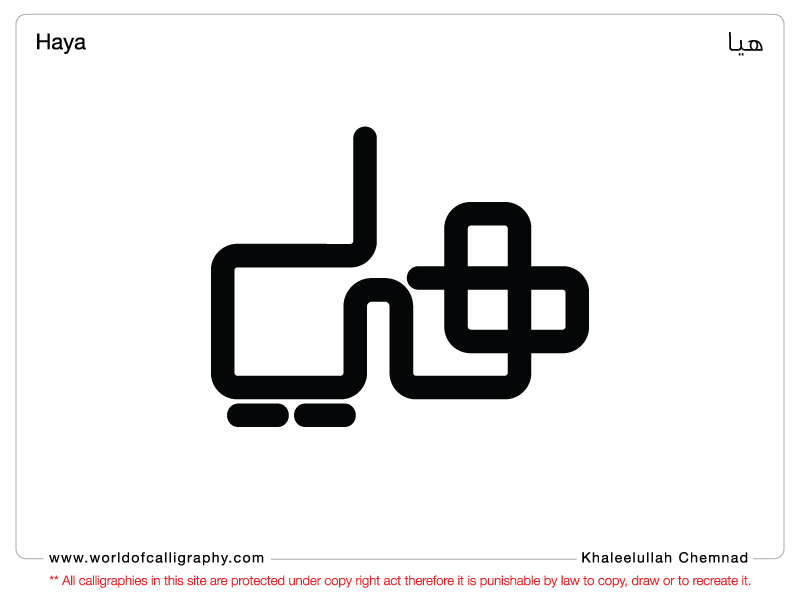 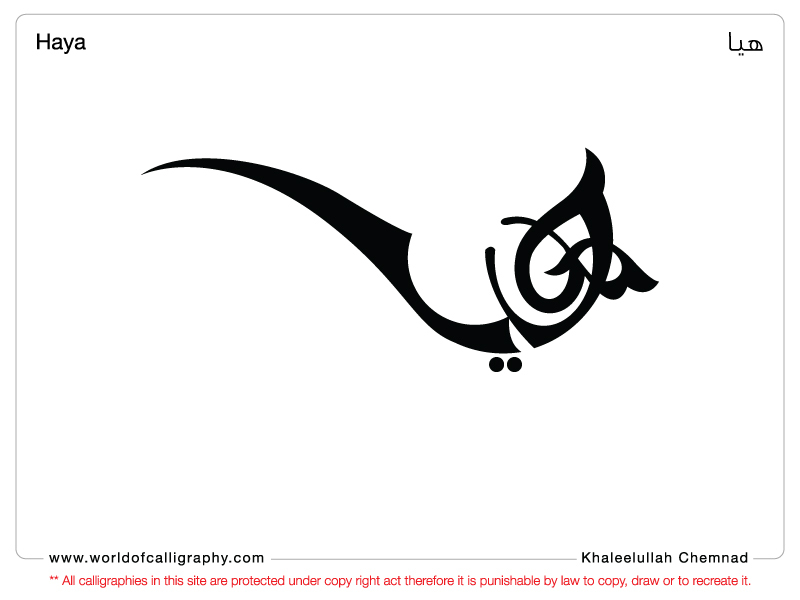 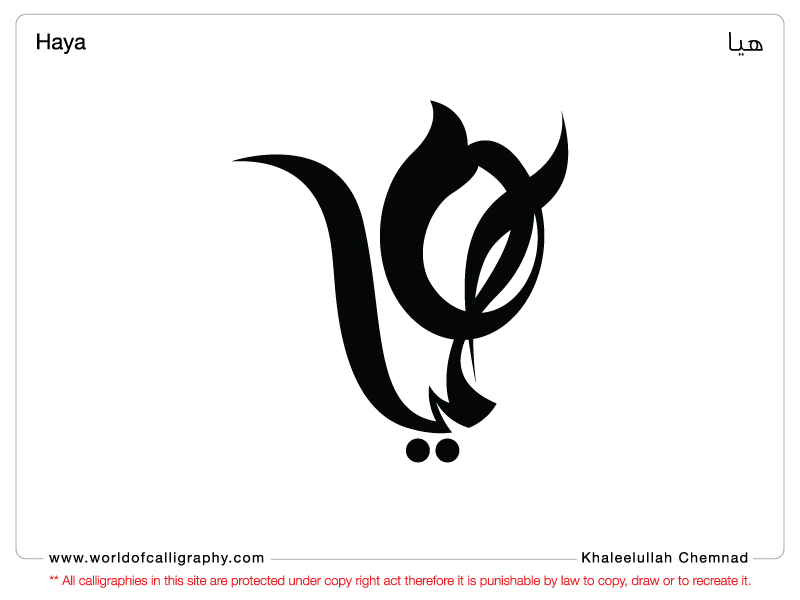 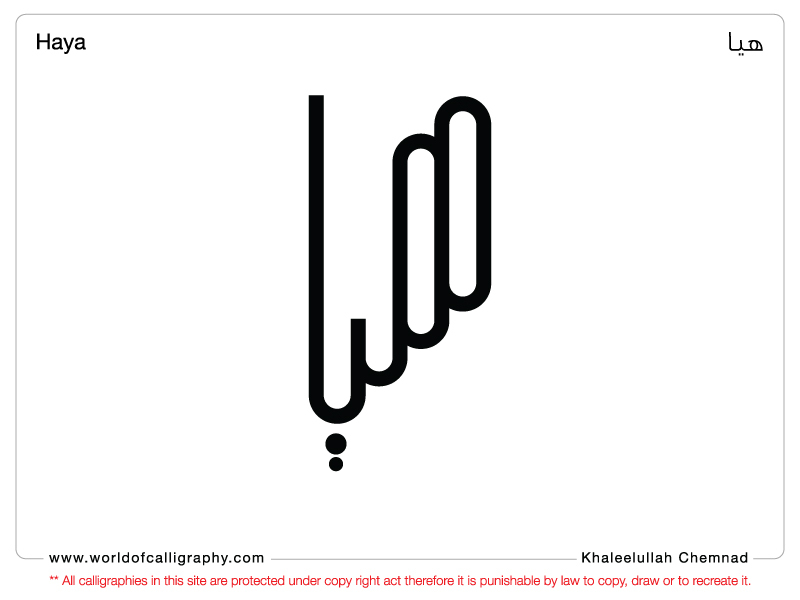 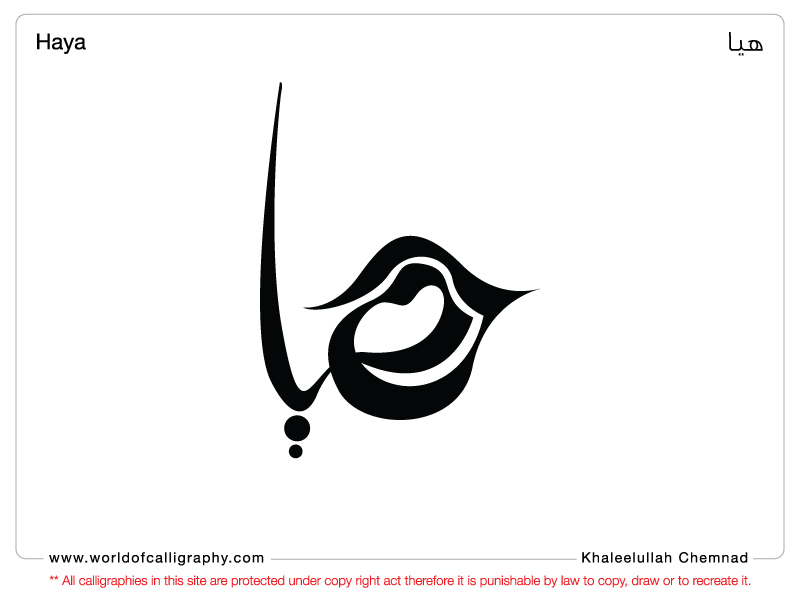 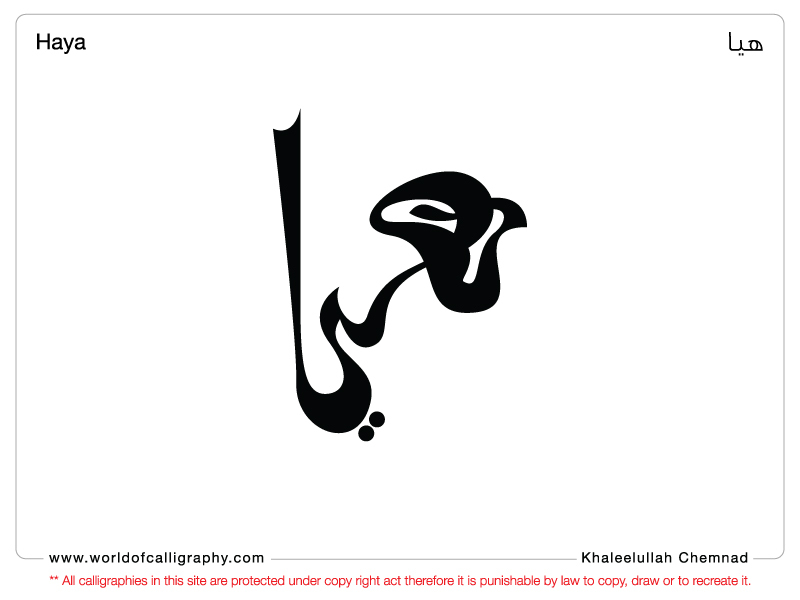 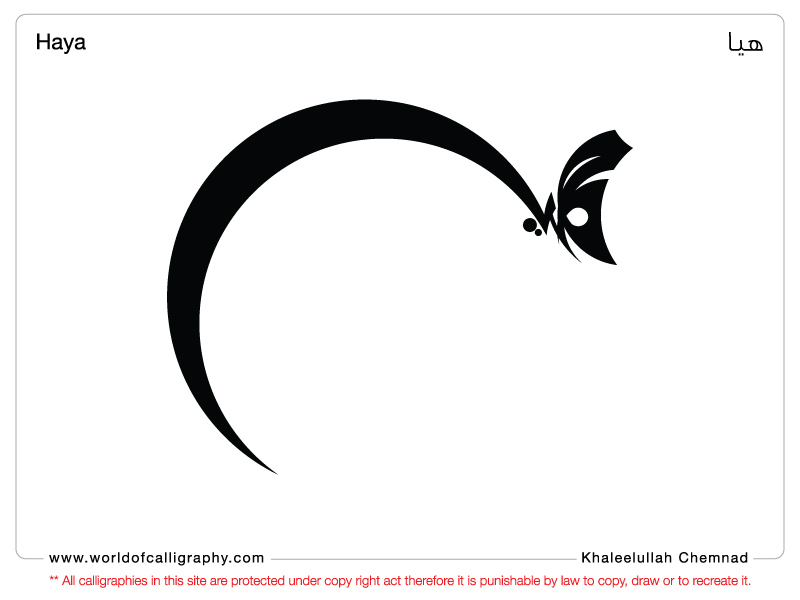 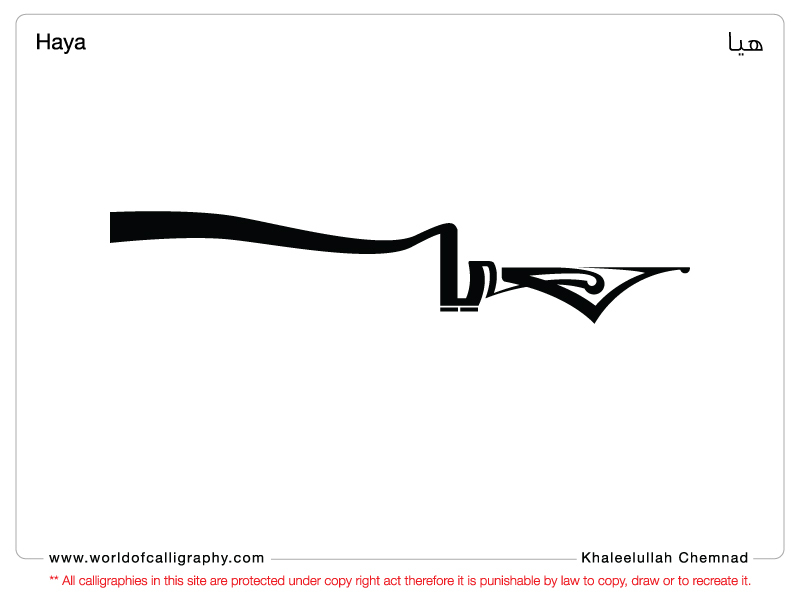 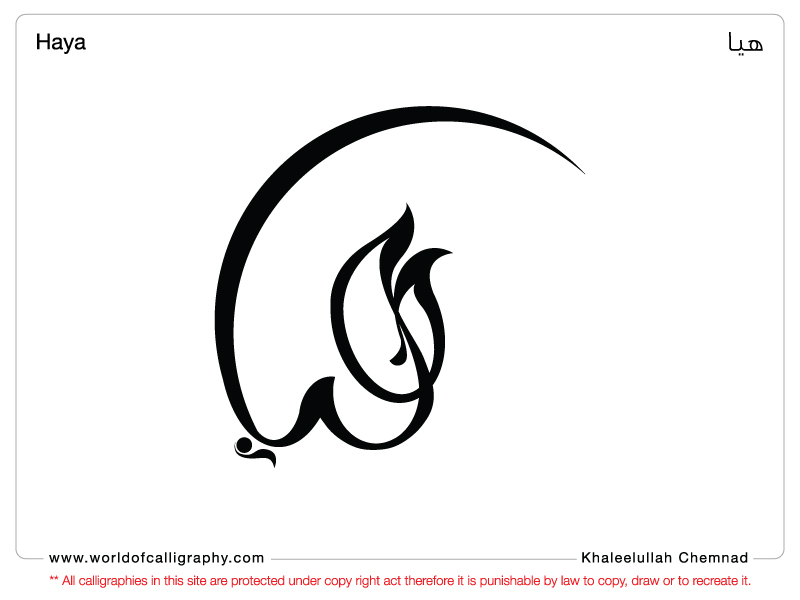 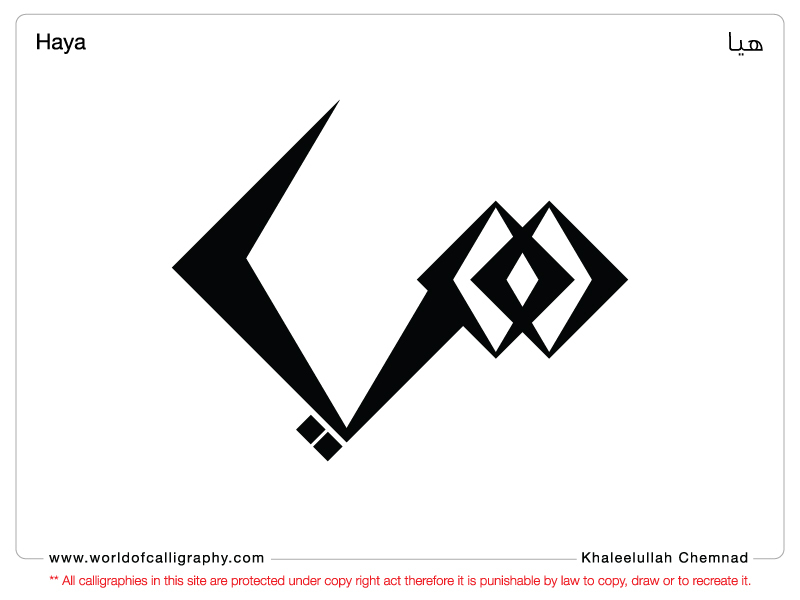 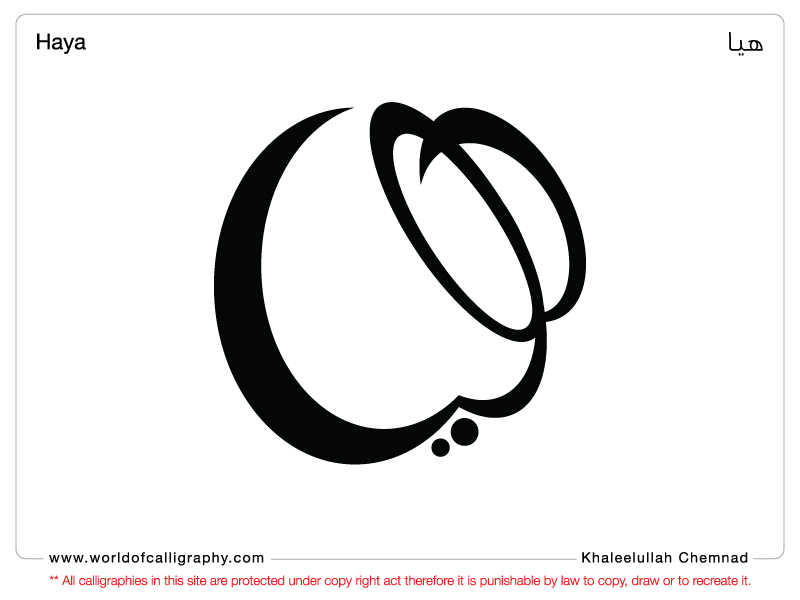 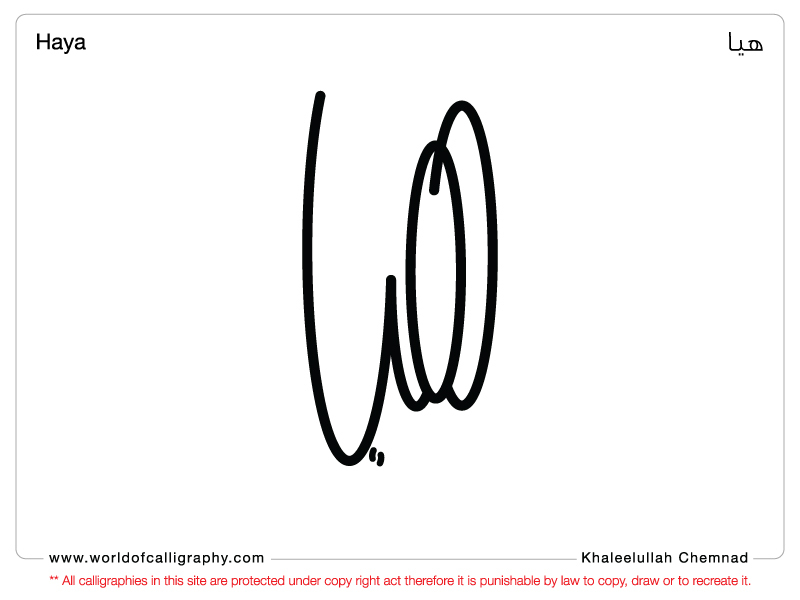 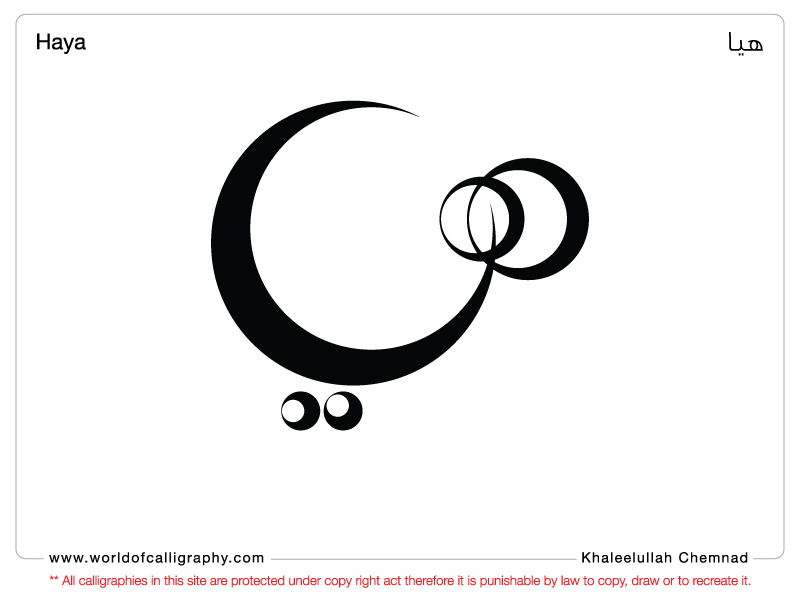 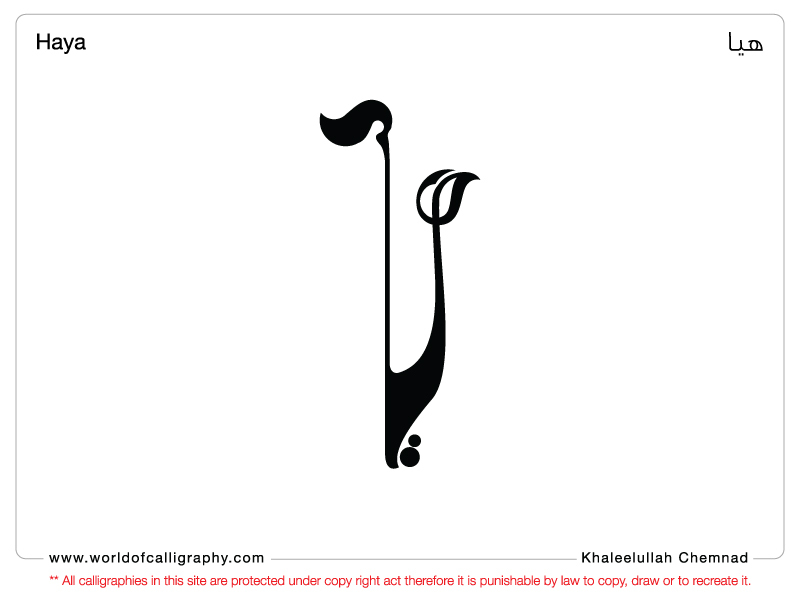 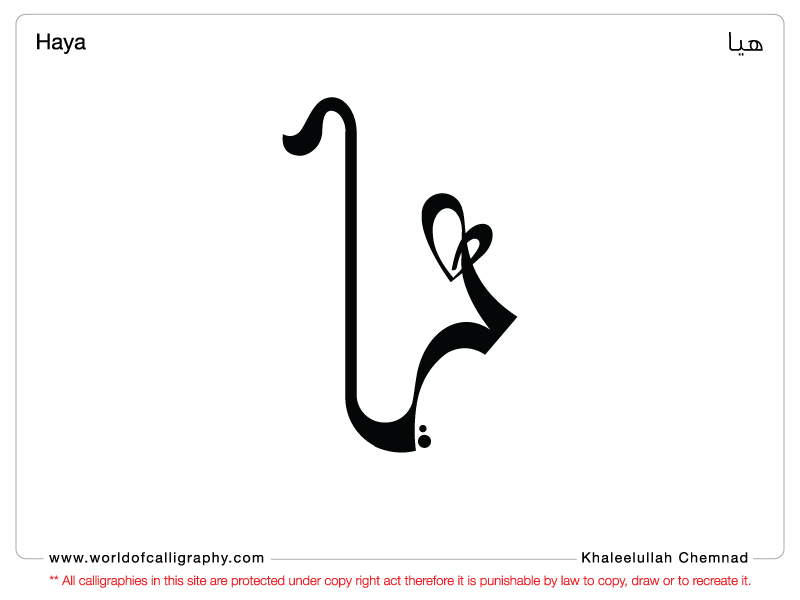 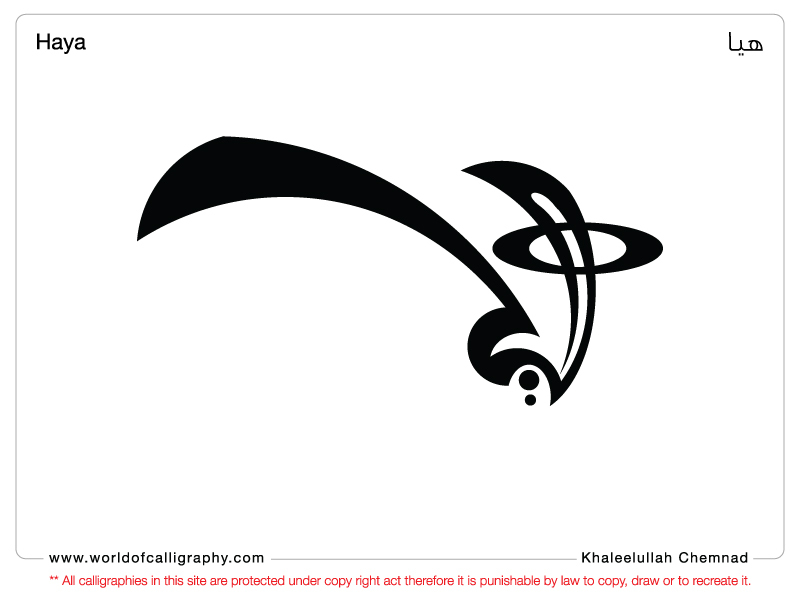 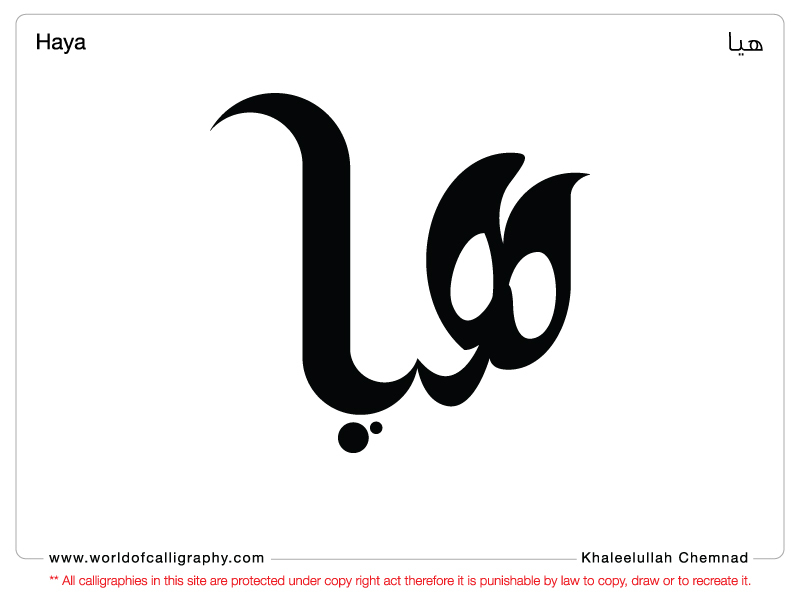 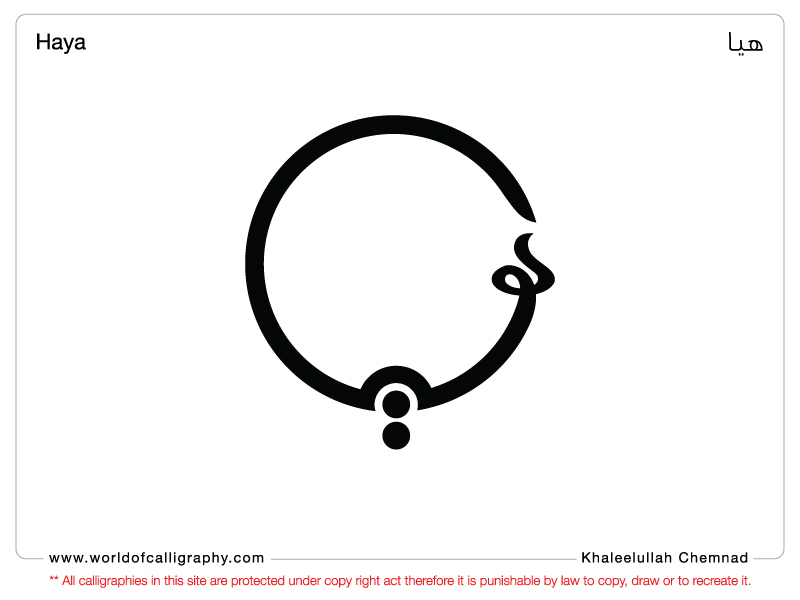 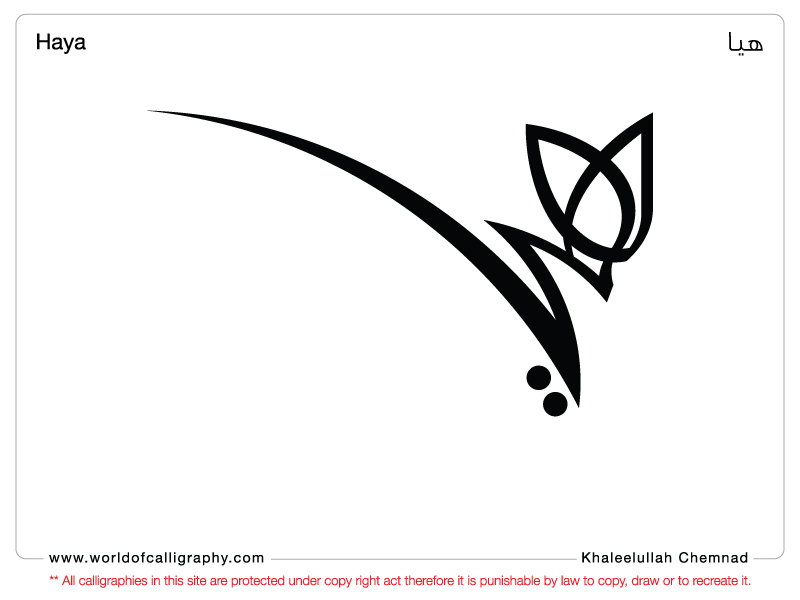 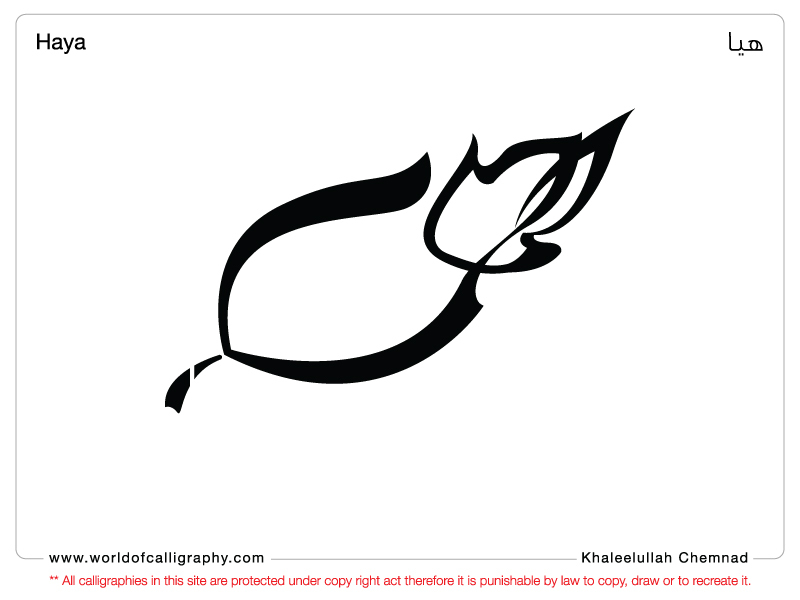 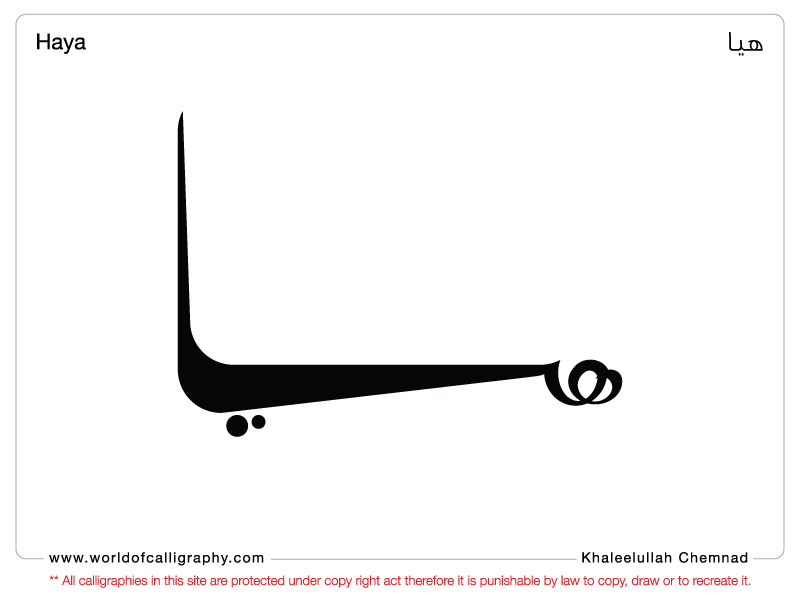 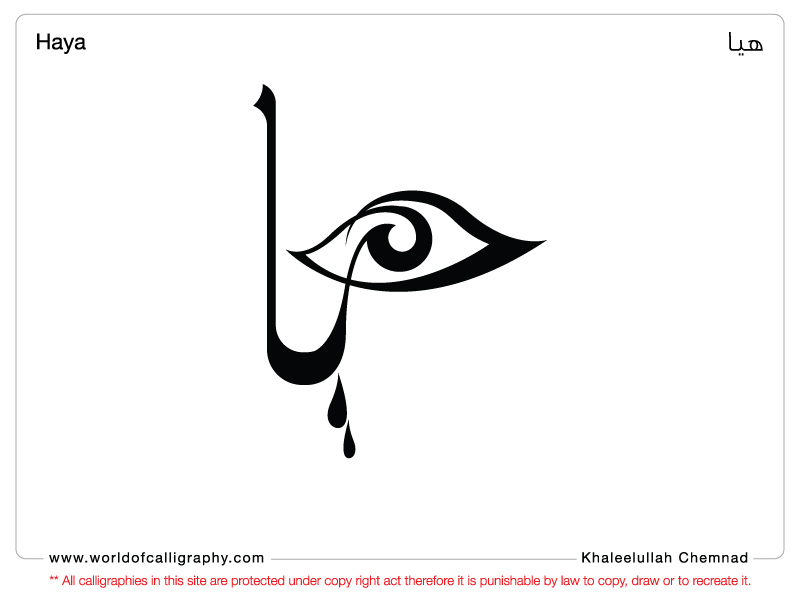 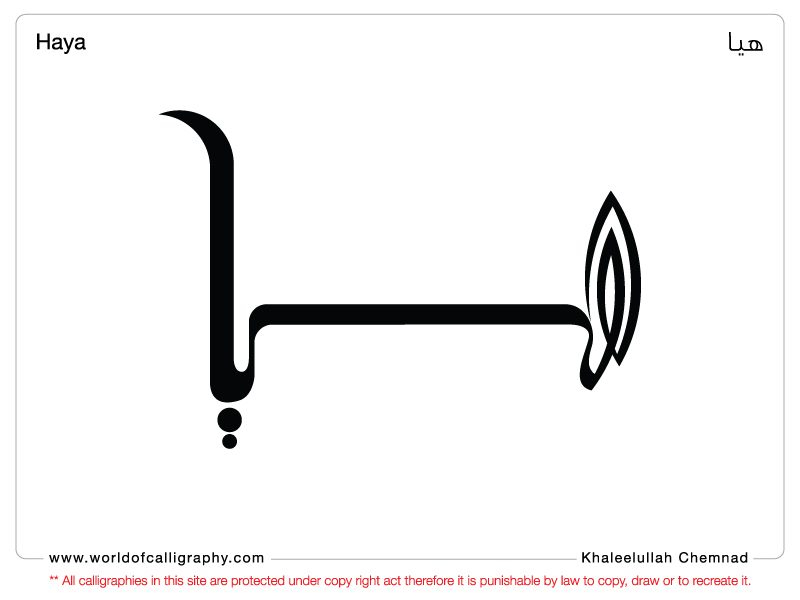 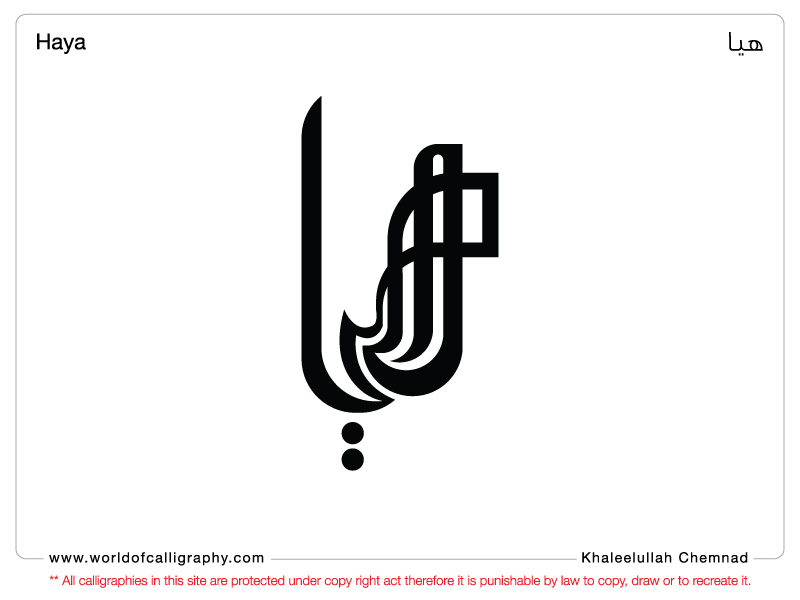 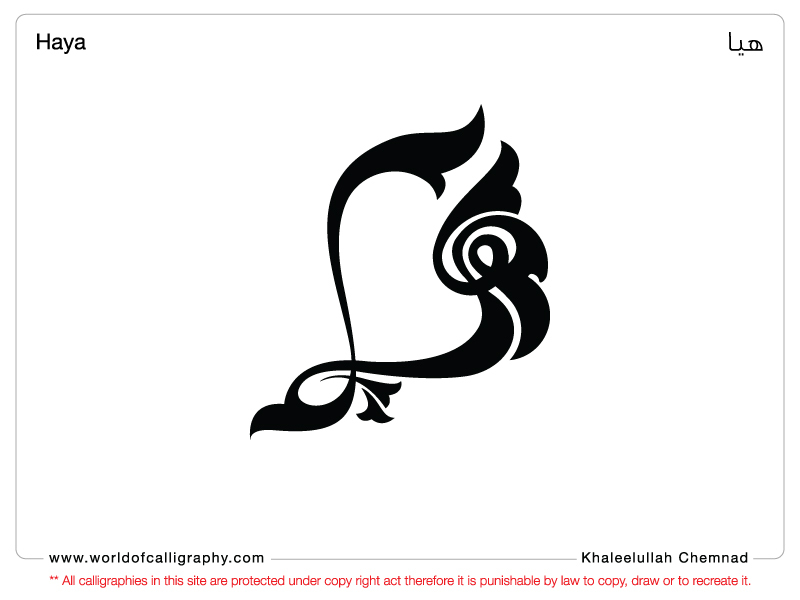 Khaleel has drawn more than 100 calligraphic works using the name HAYA in Arabic. 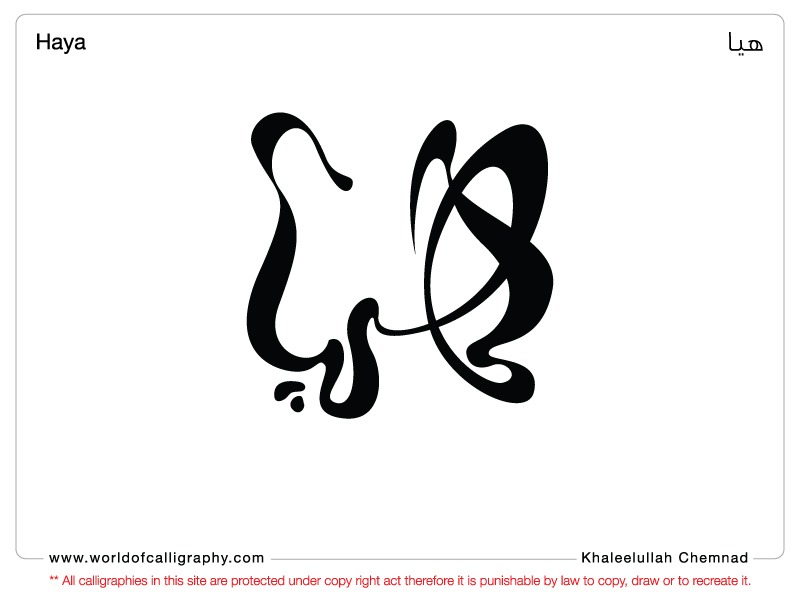 Each of these wonderful works is uniquely different from others.